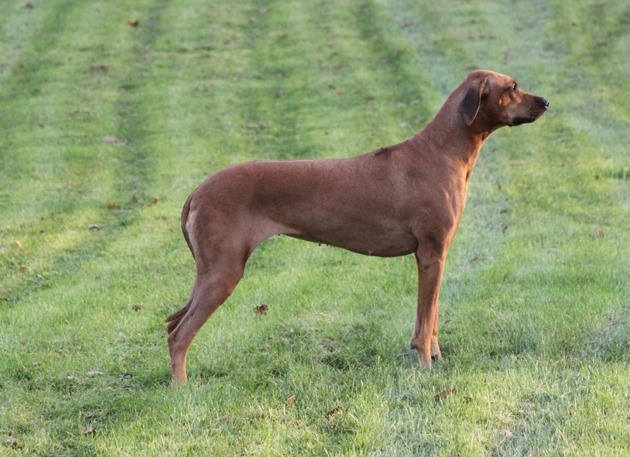 she hopefully will be mother to her first litter in 2015!. 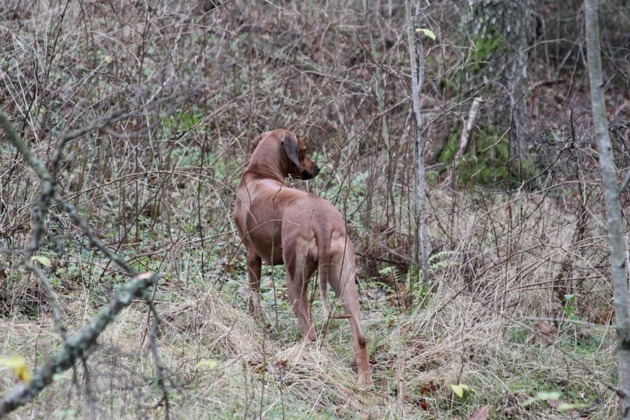 And the first blood came/was found the 24th of November! 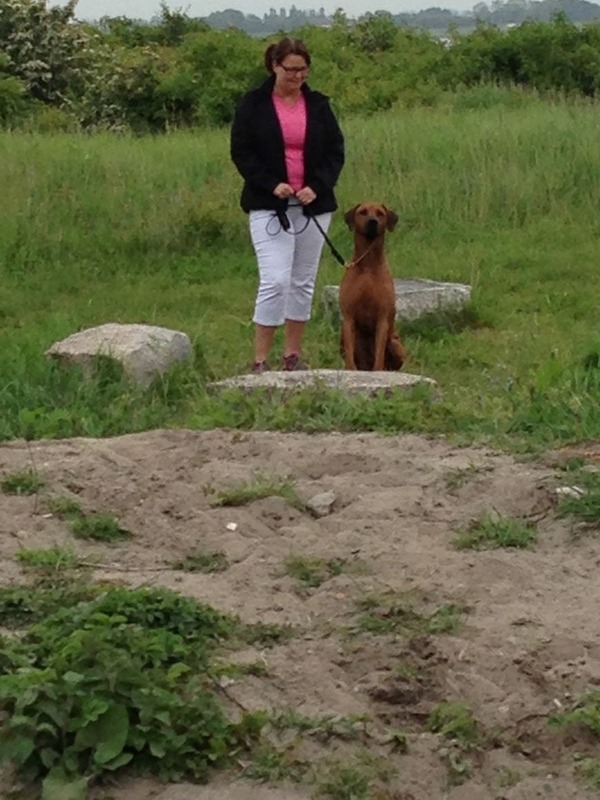 So now this great and very exciting journey finally begins! 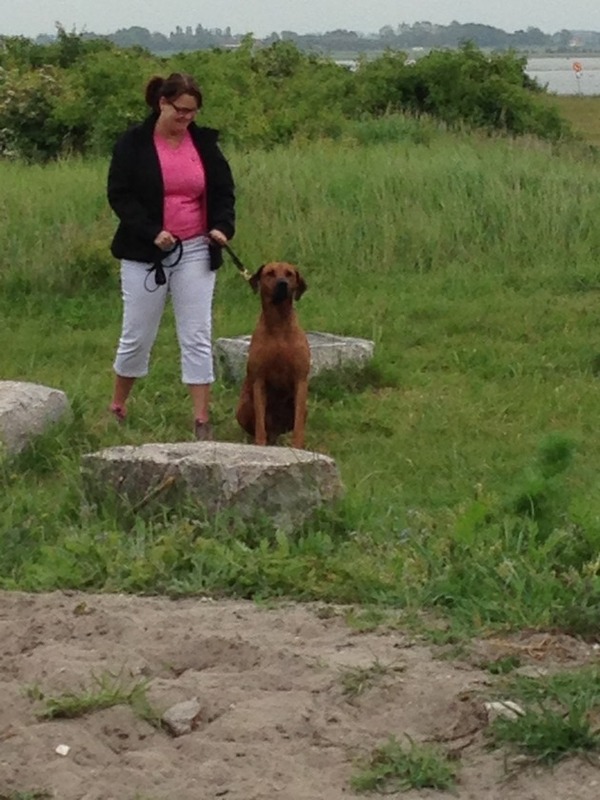 Eva will check her progesterone level by the end of next week. 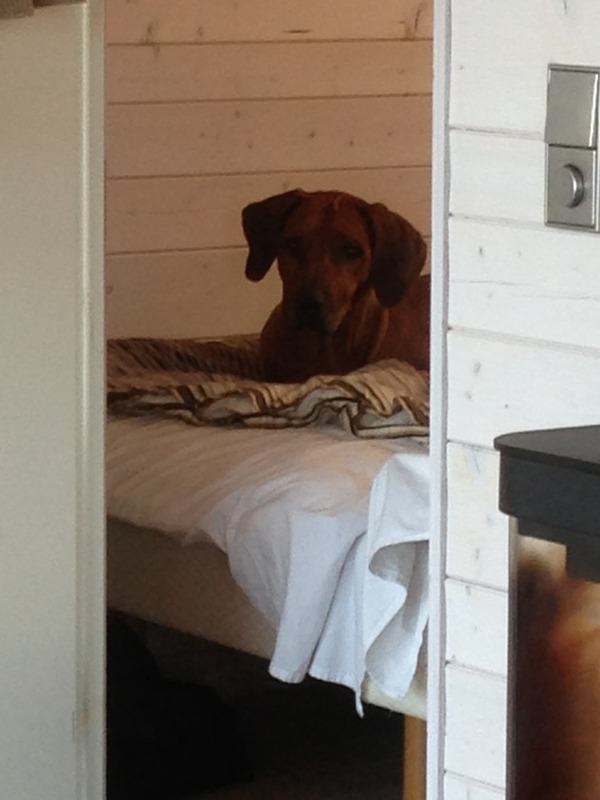 E: C.I.B NORDUCH FINUCH DKUCH SEUCH NUCH BALTUCH LVCH LTCH EECH AZCG BGCH Gr.BGCH CYCH MDCH GECH Gr.GECH ROCH UACH PHCH NVCH SEVCH RLD N SEV-10 HEW-11 ROSERIDGE RED RASTABAN"Wilson"
Are you interested in a puppy from this combination and want to know more about this upcoming litter, parents, photos? 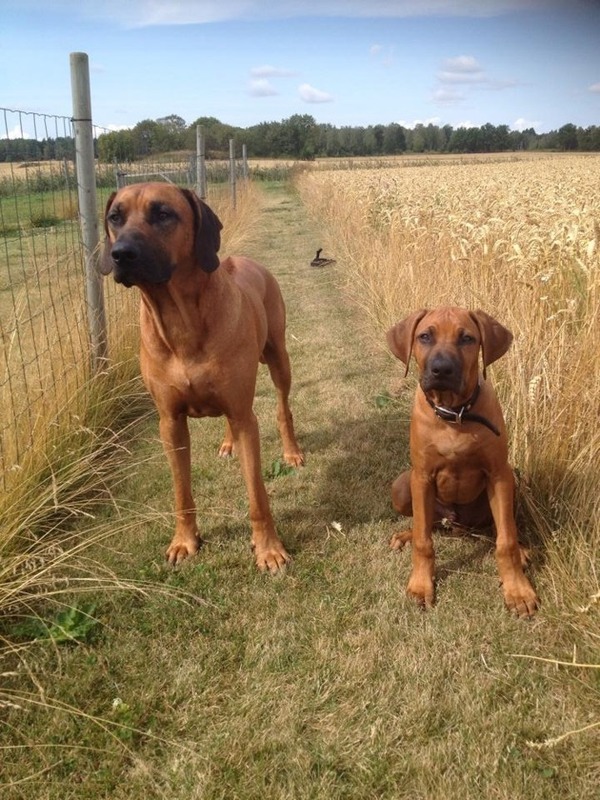 Both parents are X-rayed HD A/A and ED 0/0. 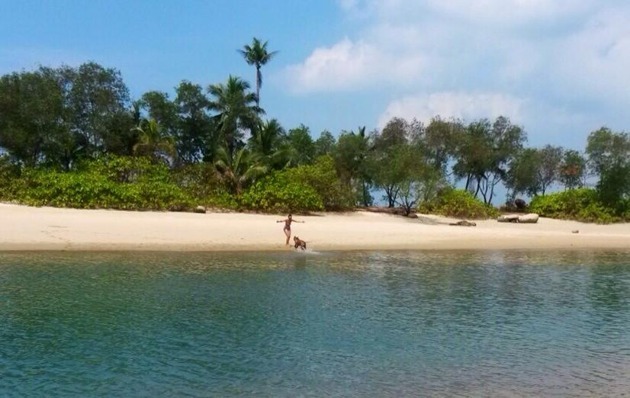 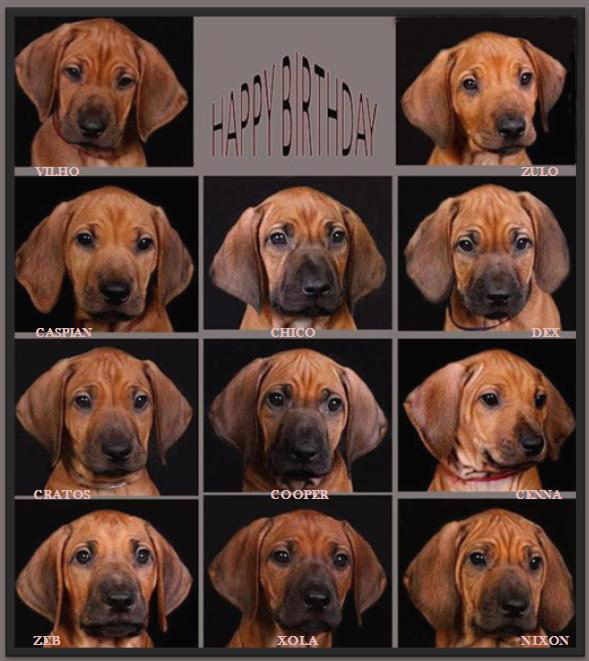 Mixed pictures taken by their owners:)! 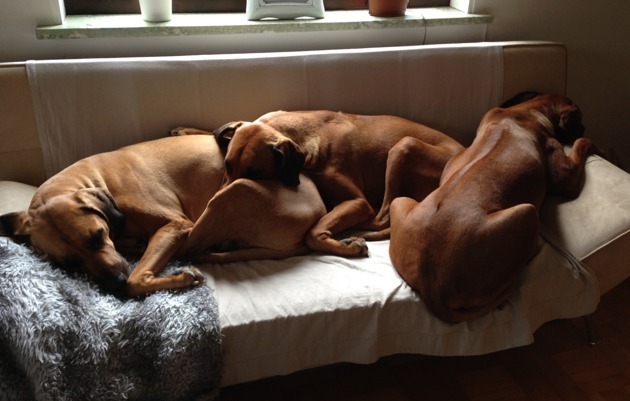 The girls have met Awena´s lovely brother Primus for a playdate and his little brother kula. The Nordic Winner 2014 title and BIG 2! 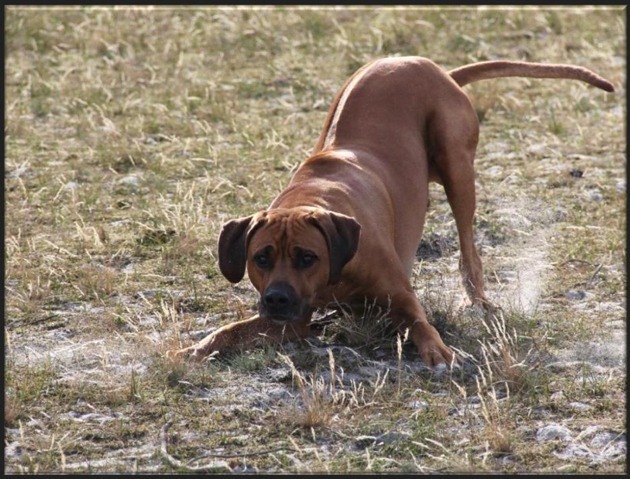 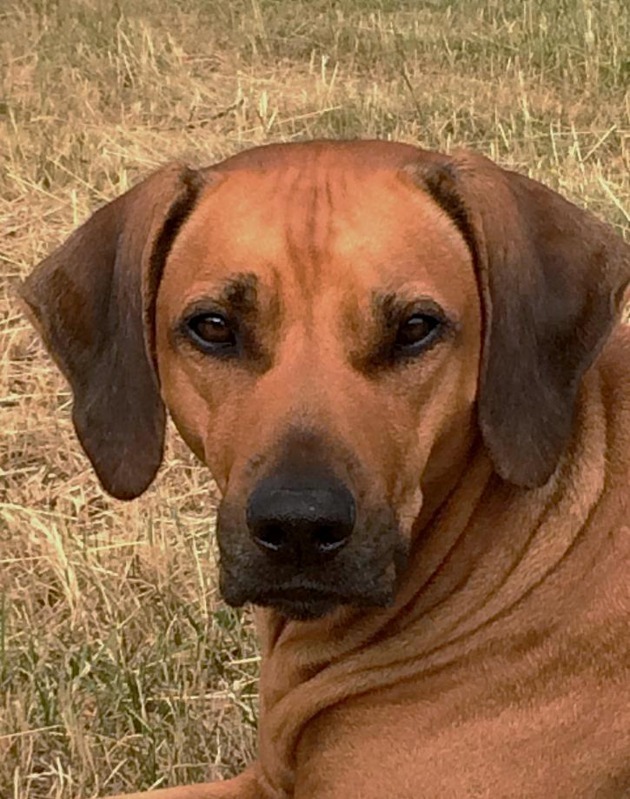 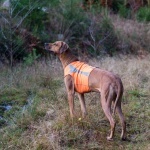 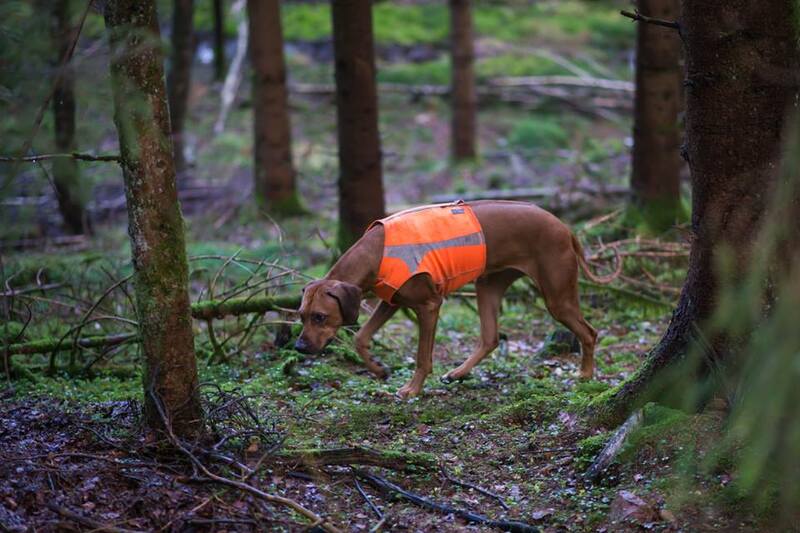 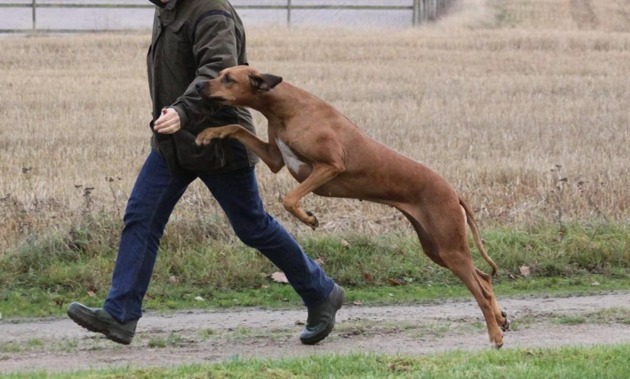 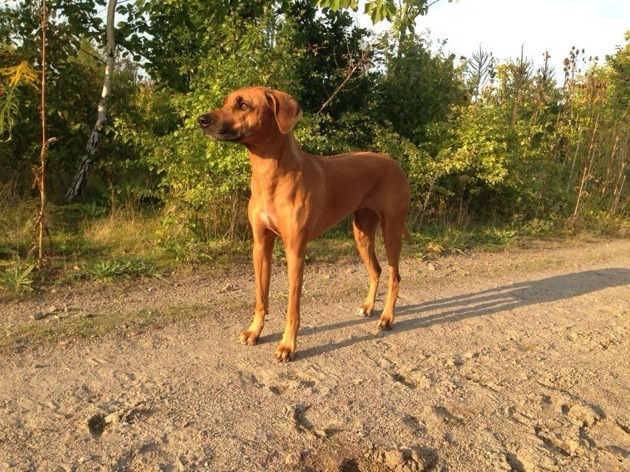 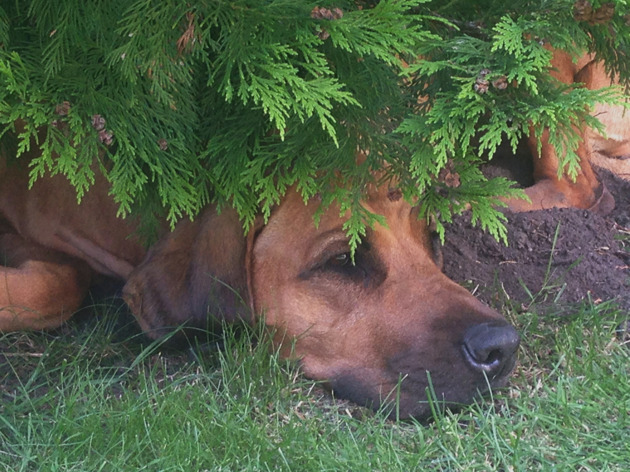 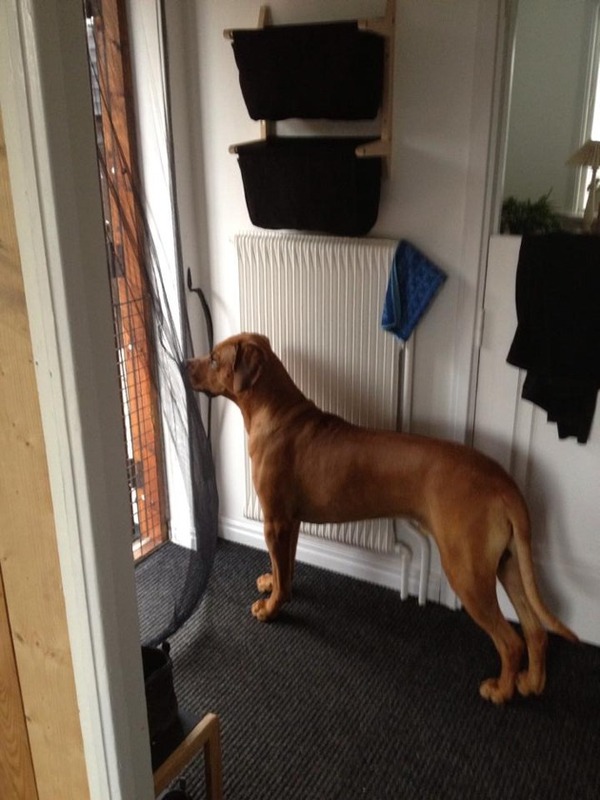 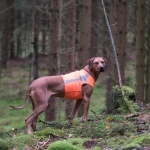 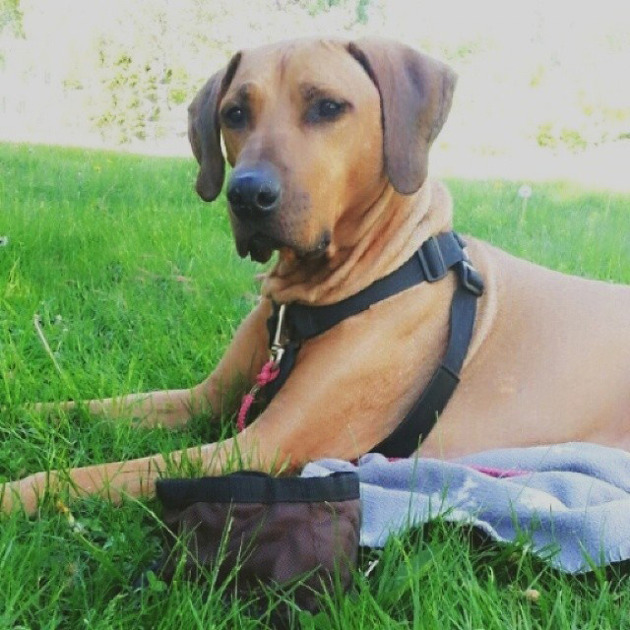 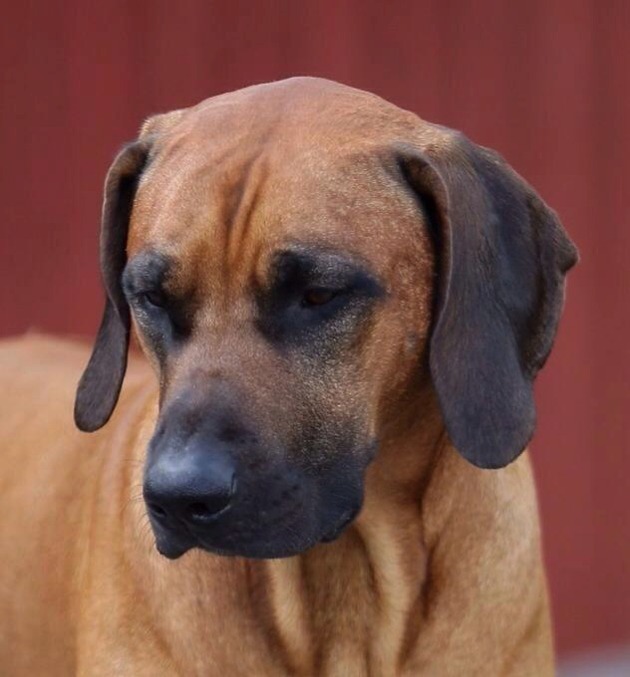 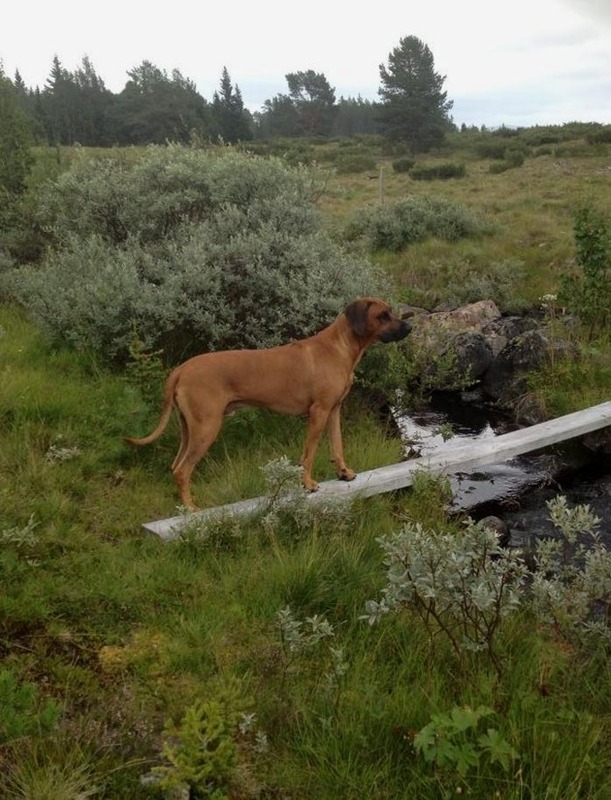 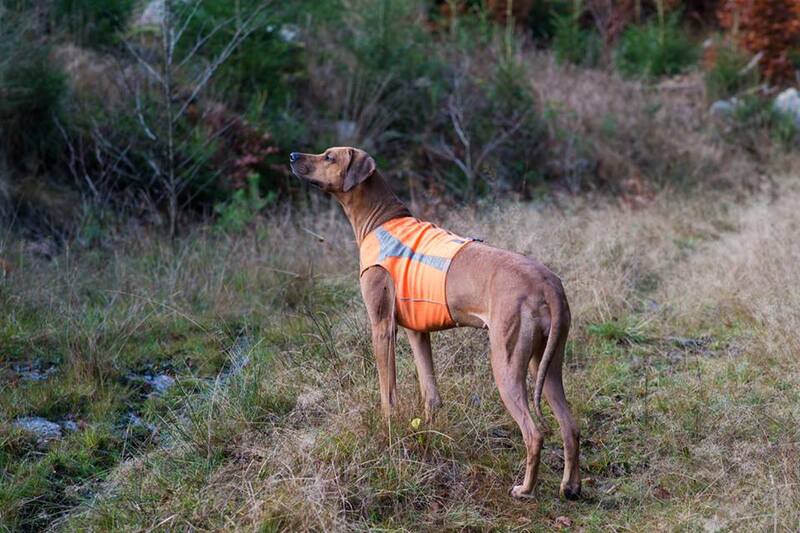 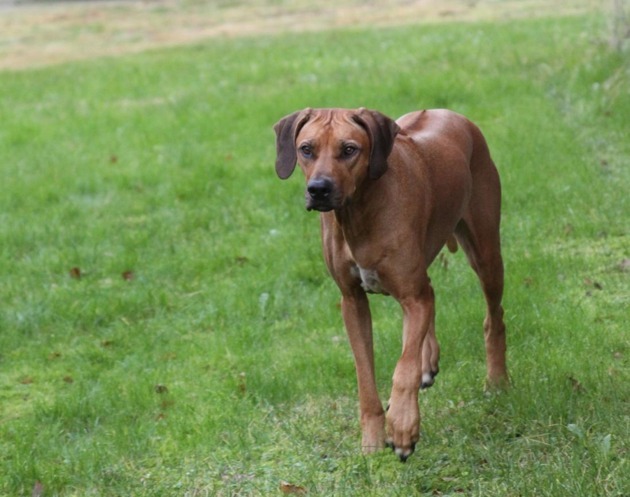 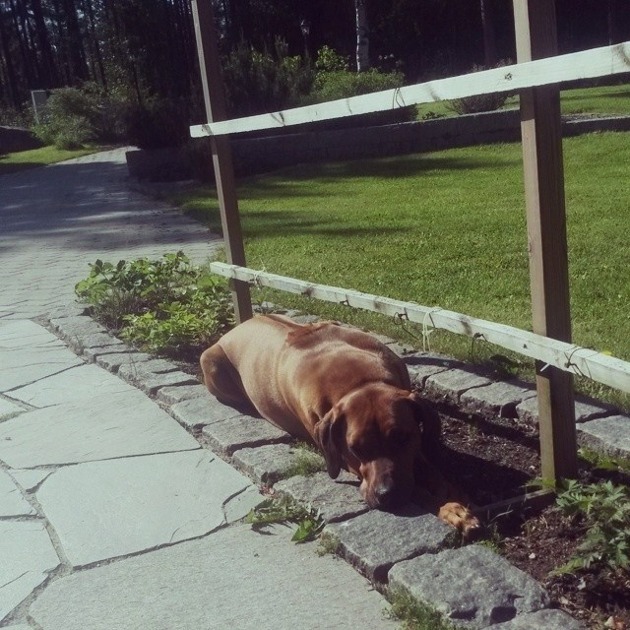 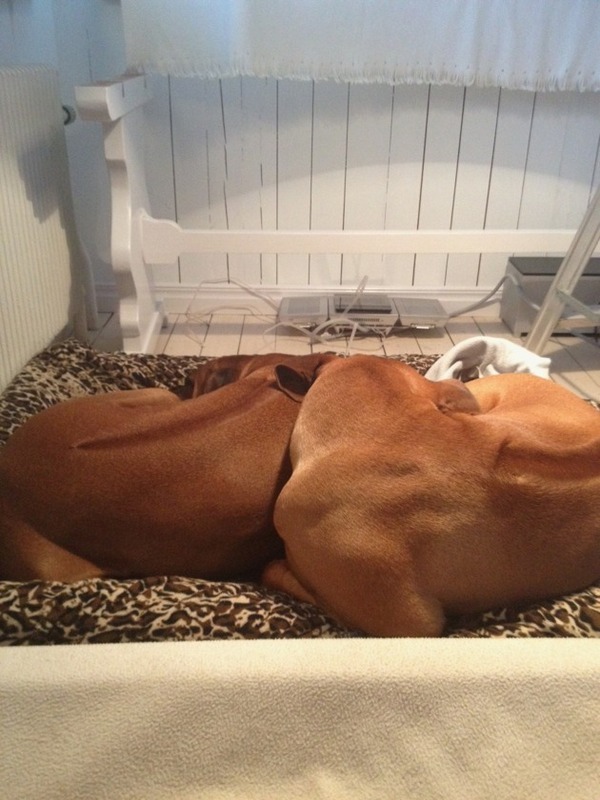 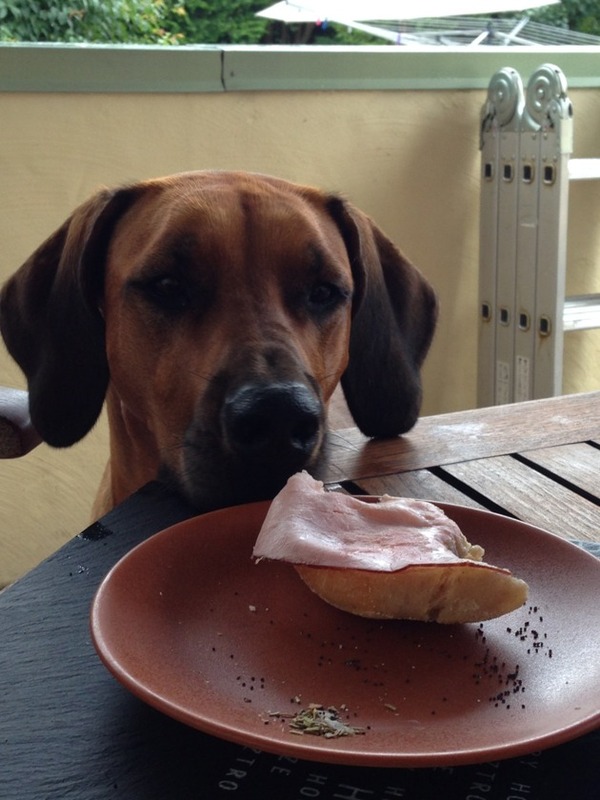 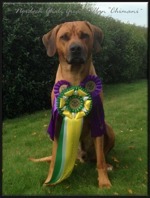 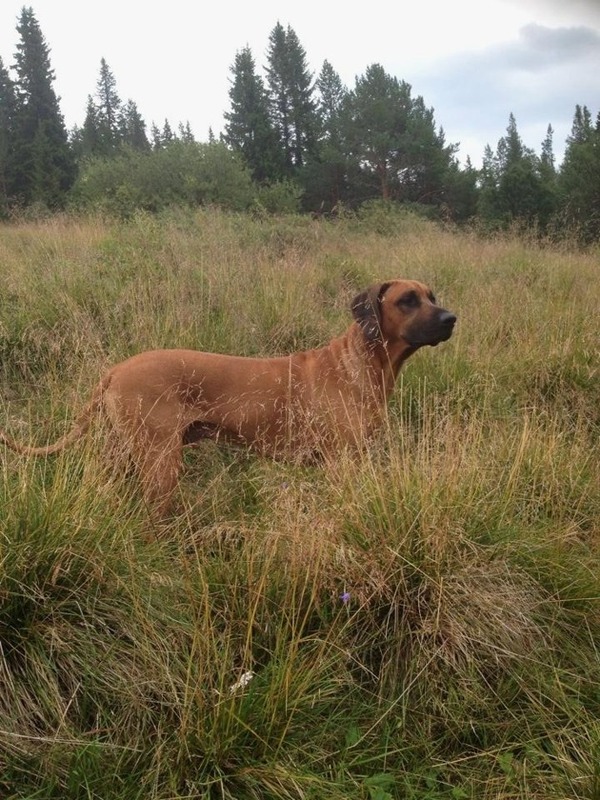 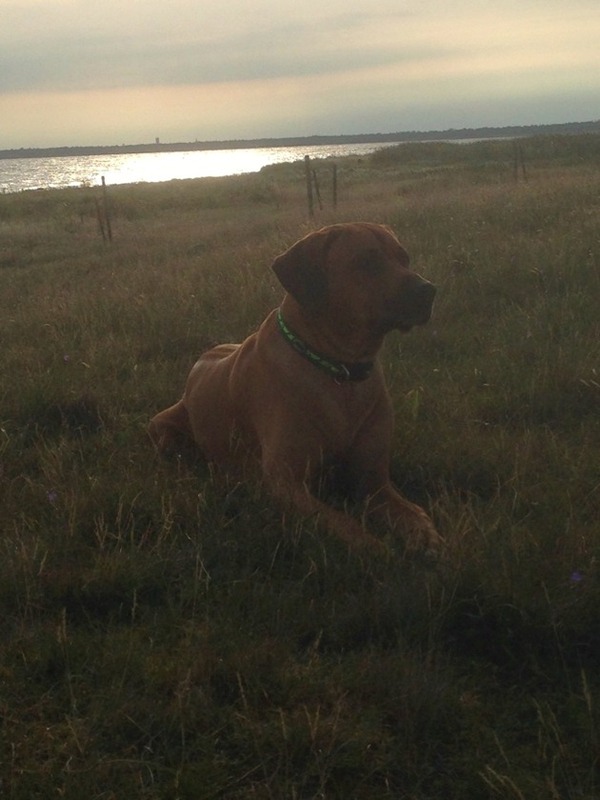 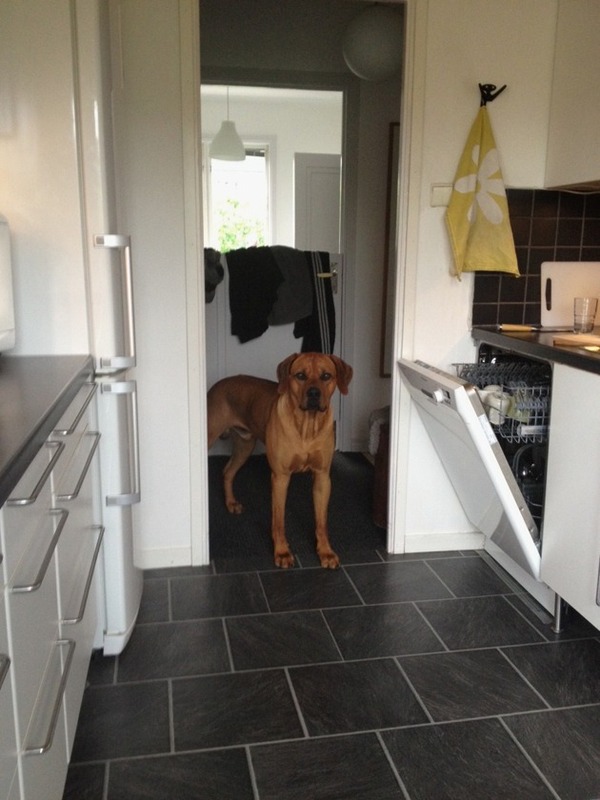 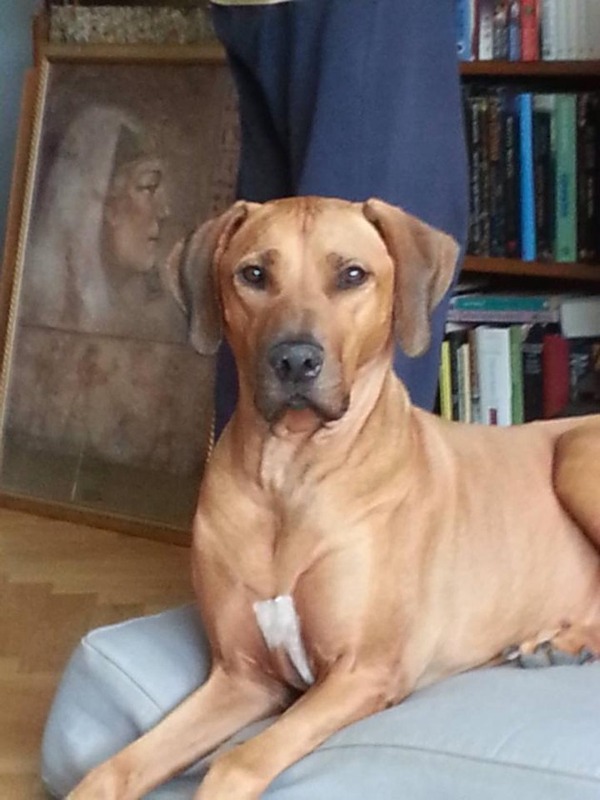 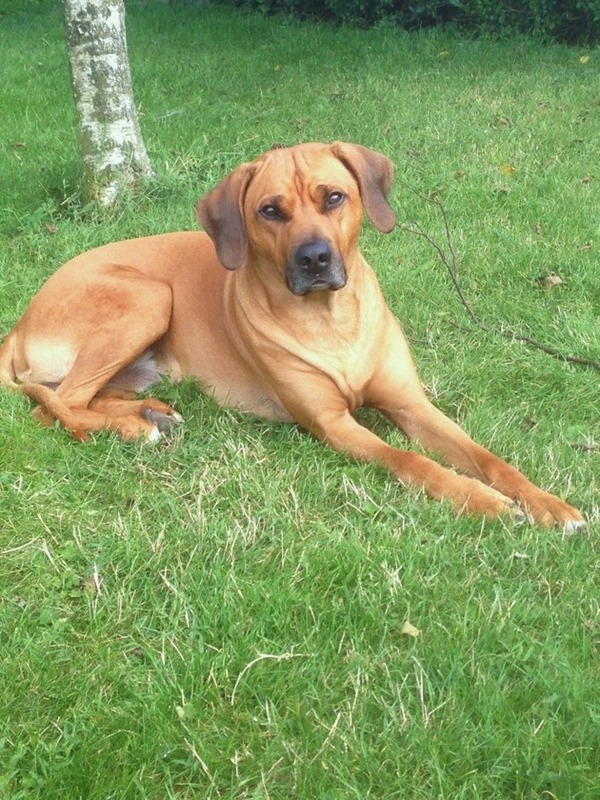 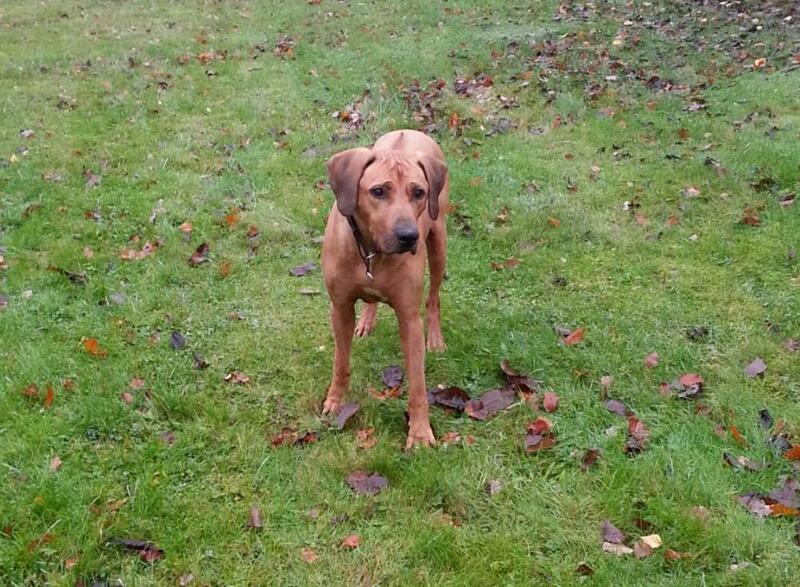 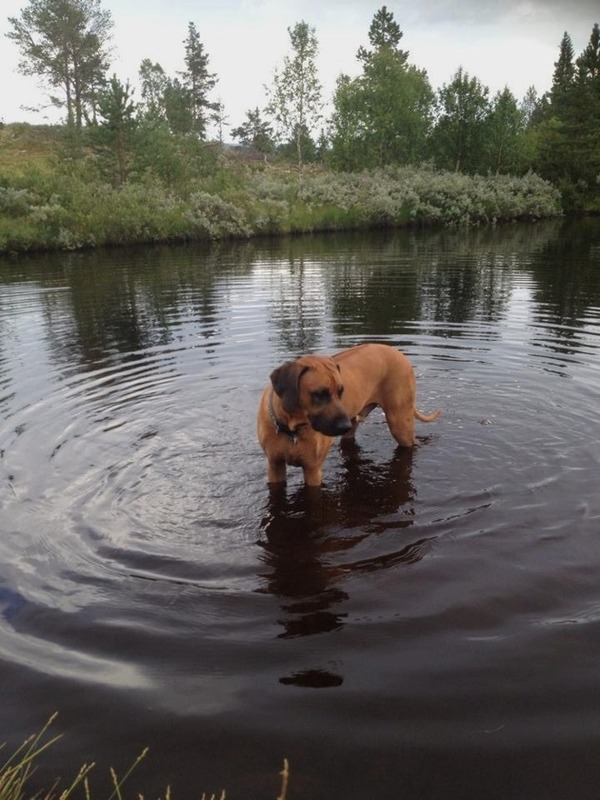 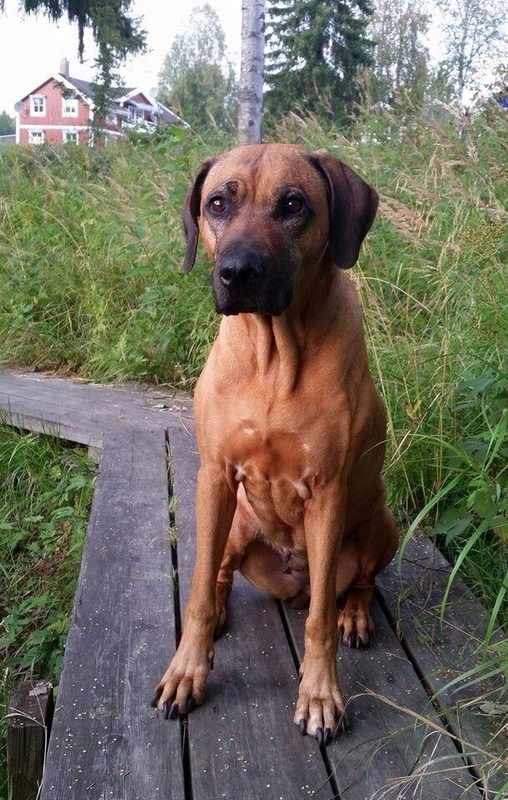 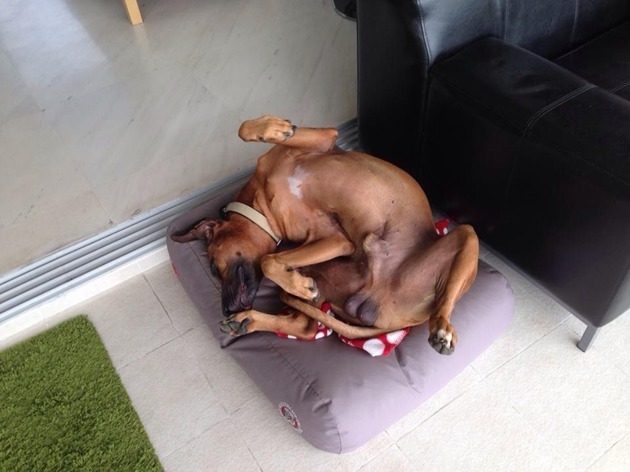 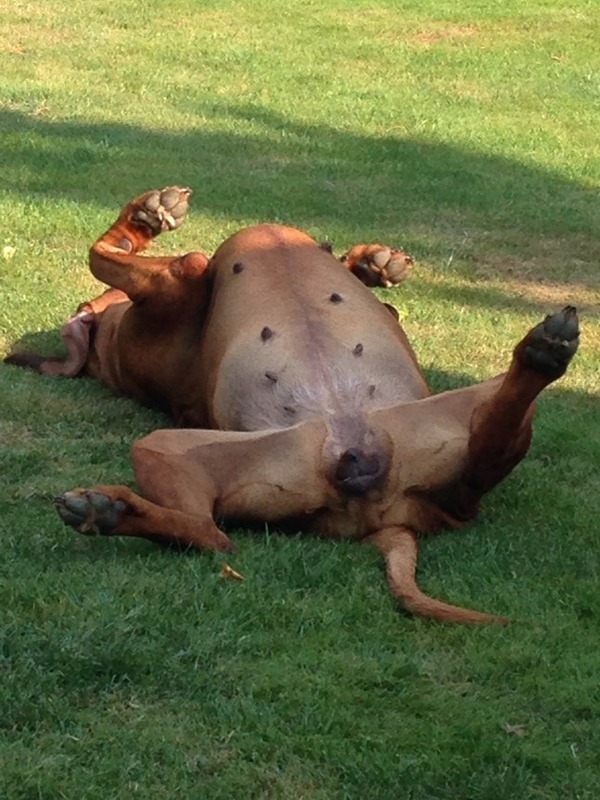 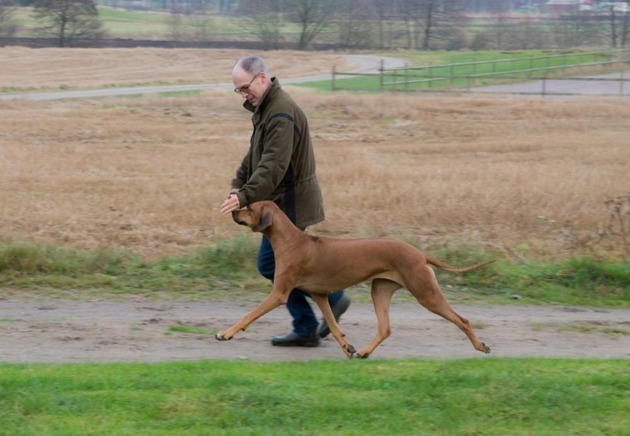 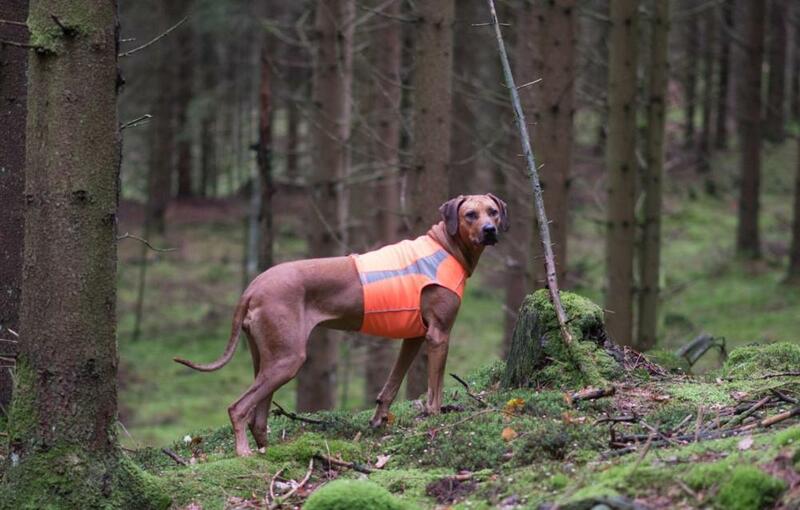 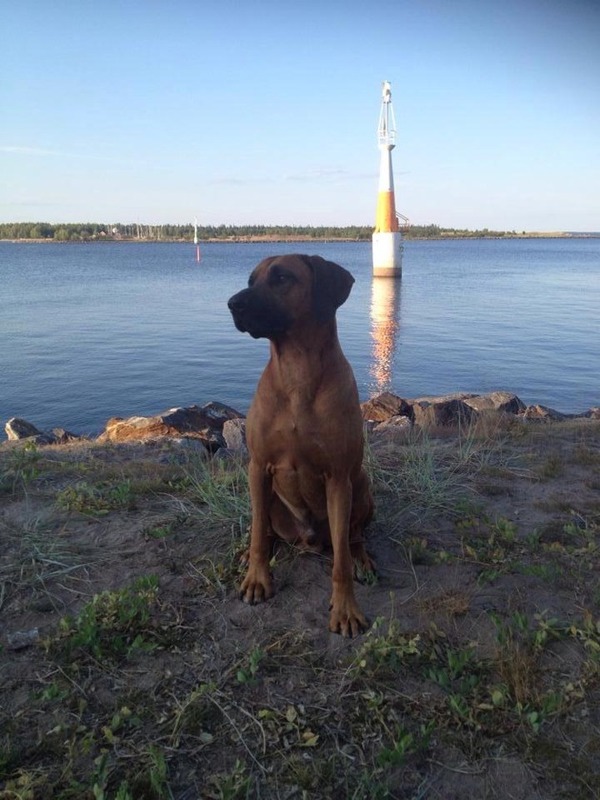 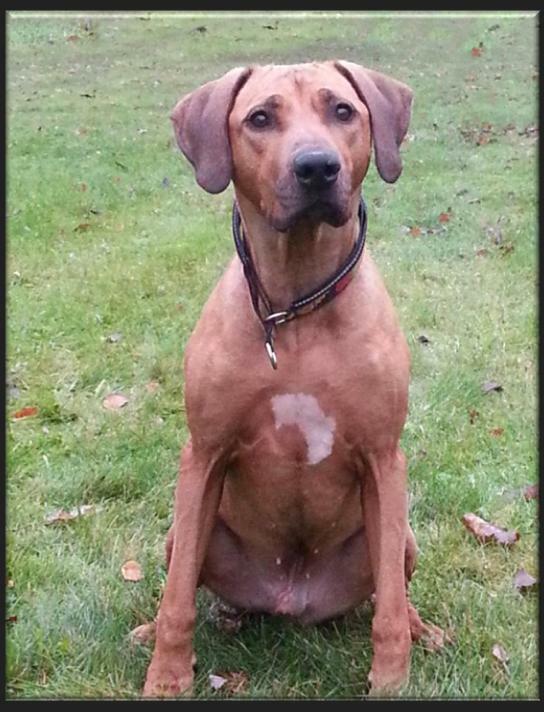 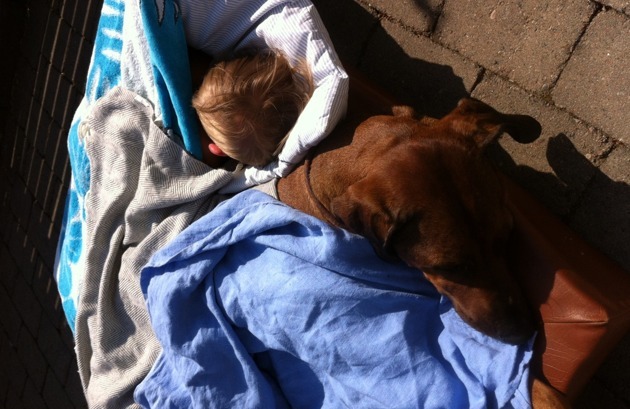 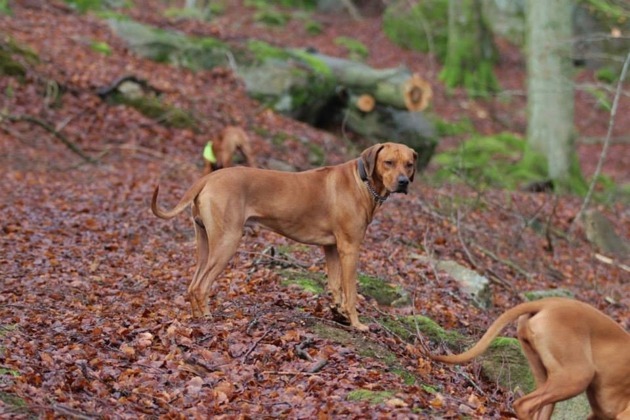 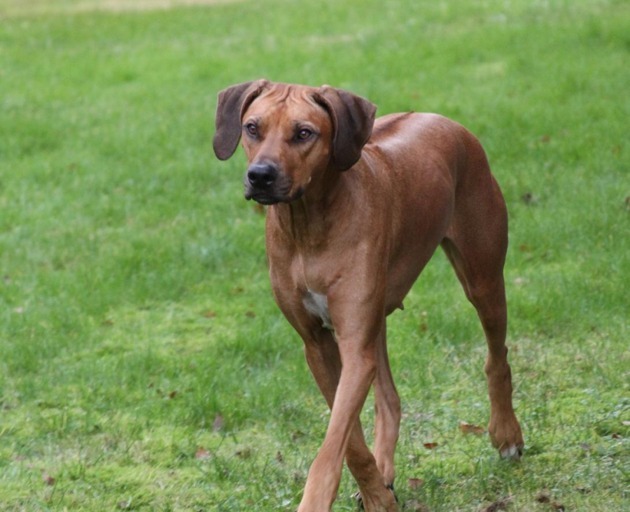 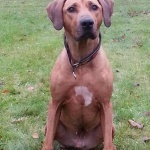 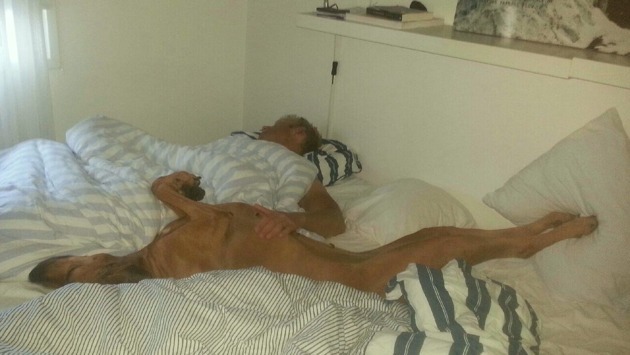 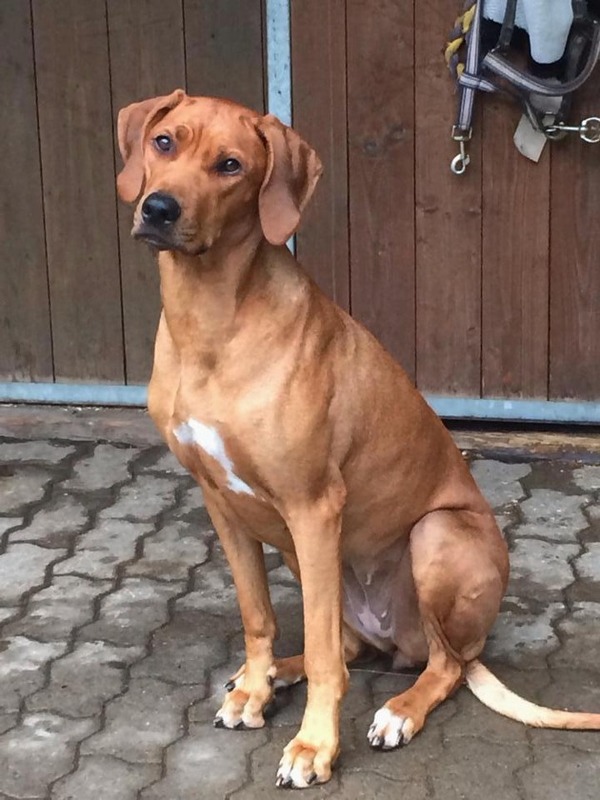 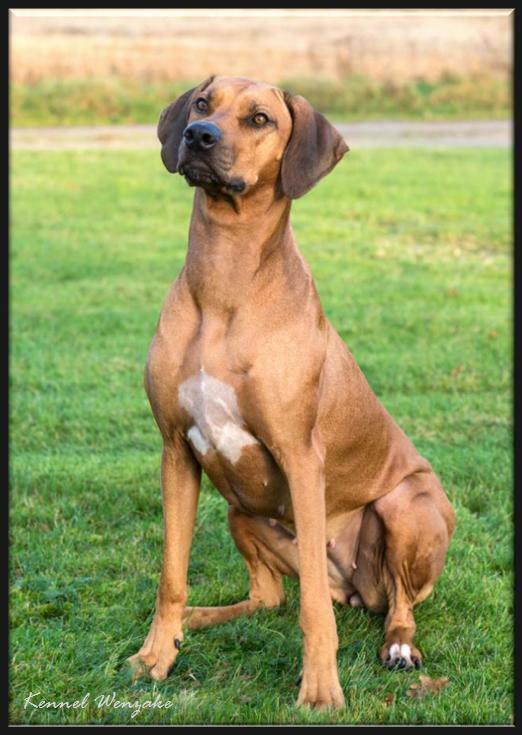 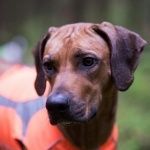 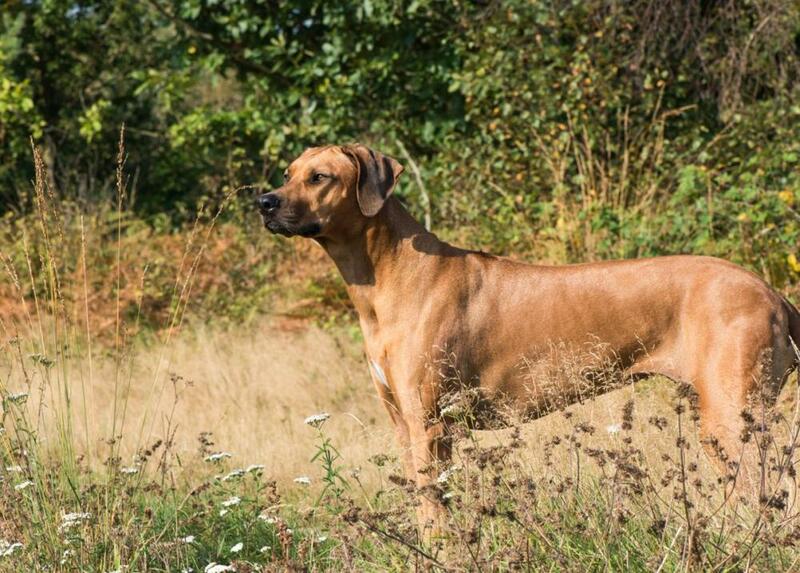 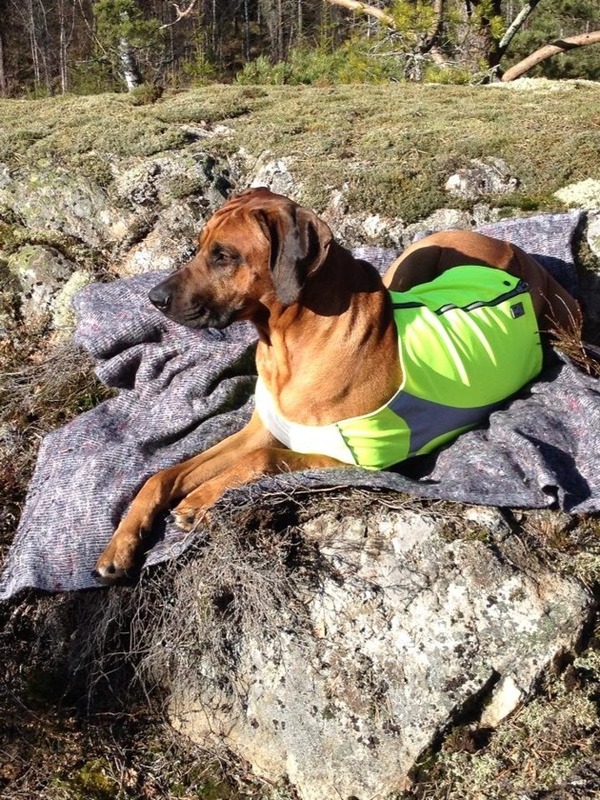 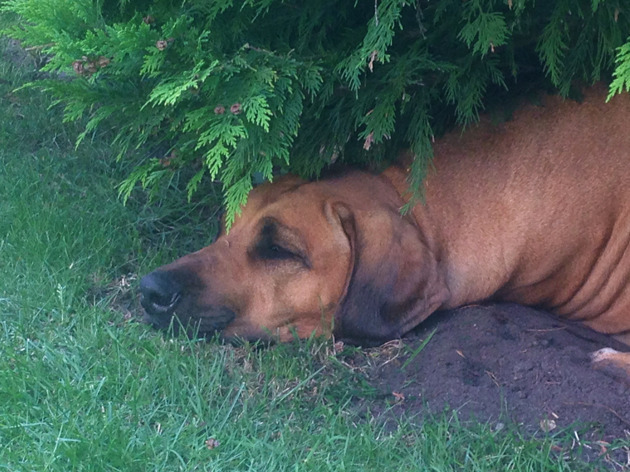 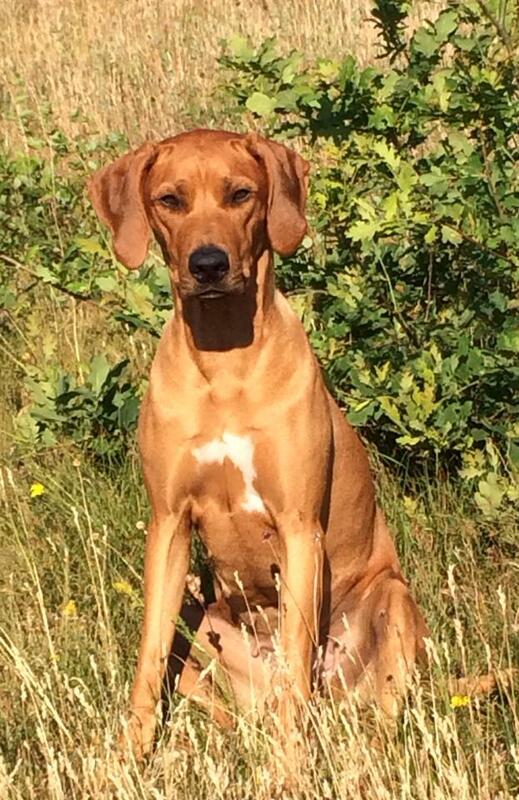 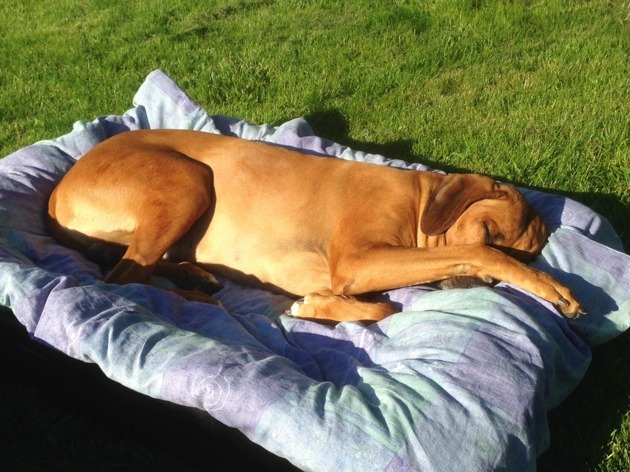 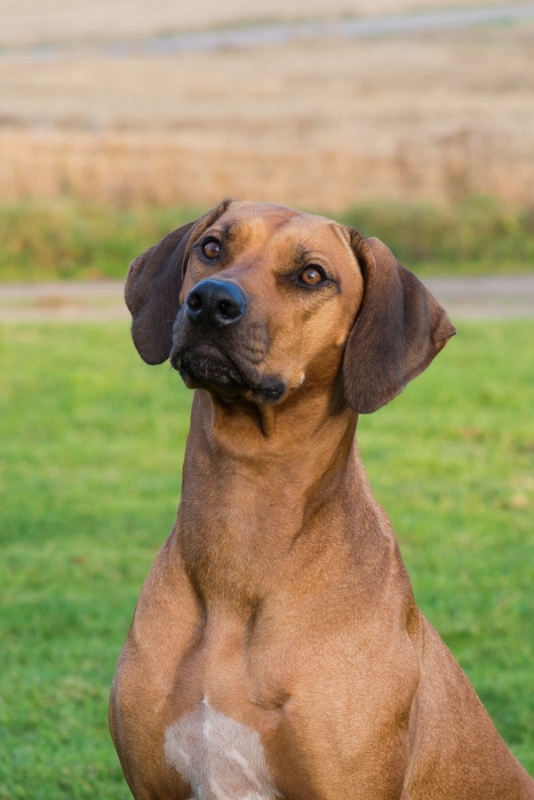 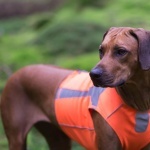 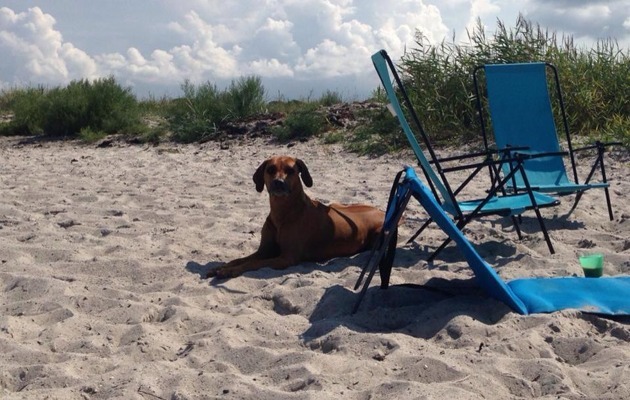 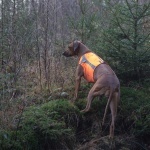 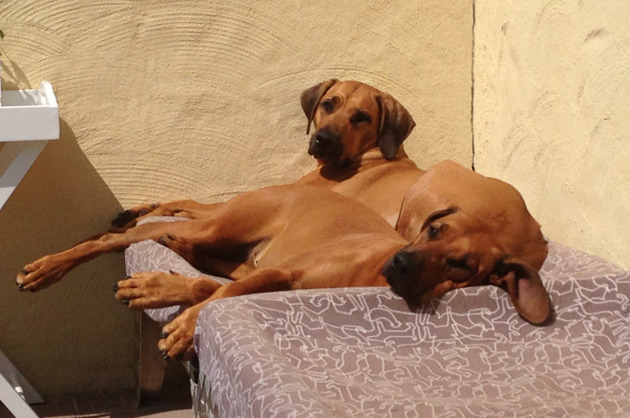 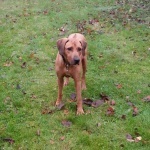 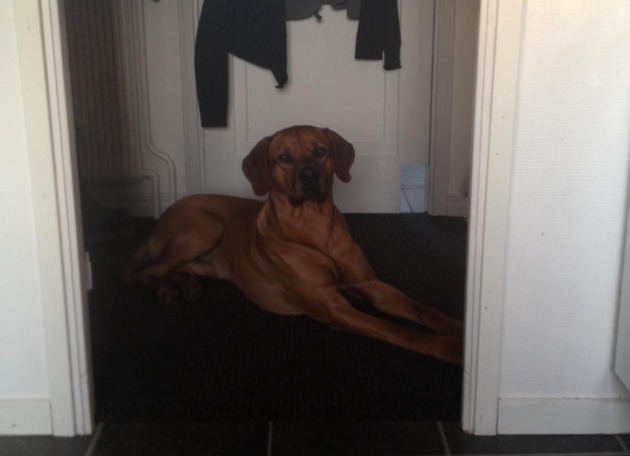 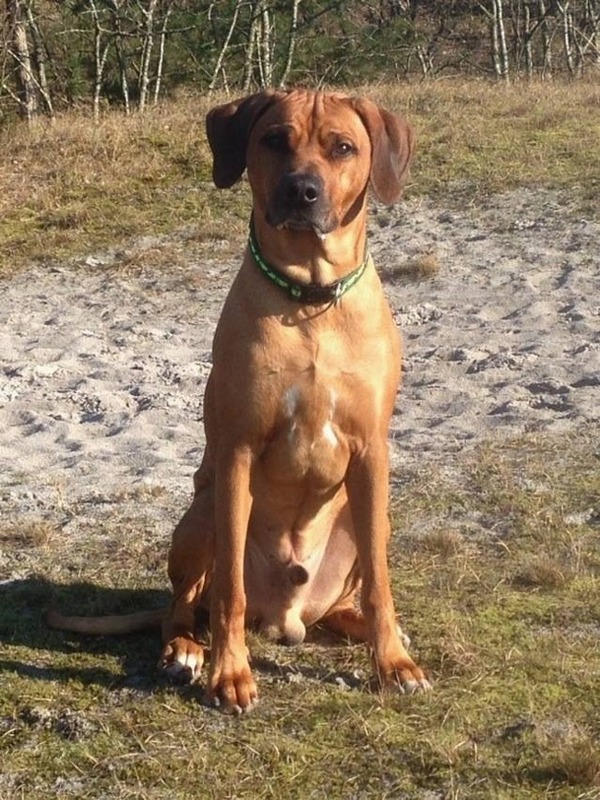 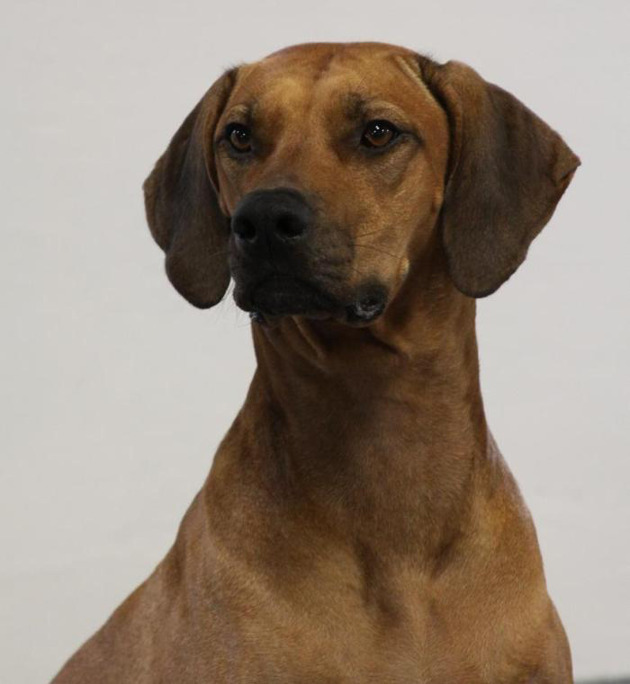 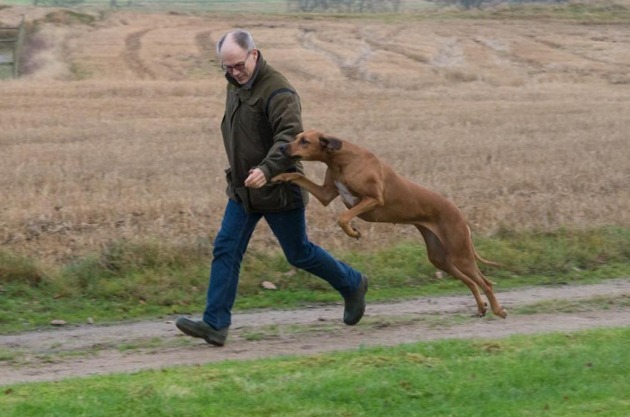 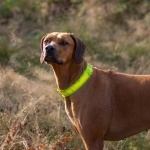 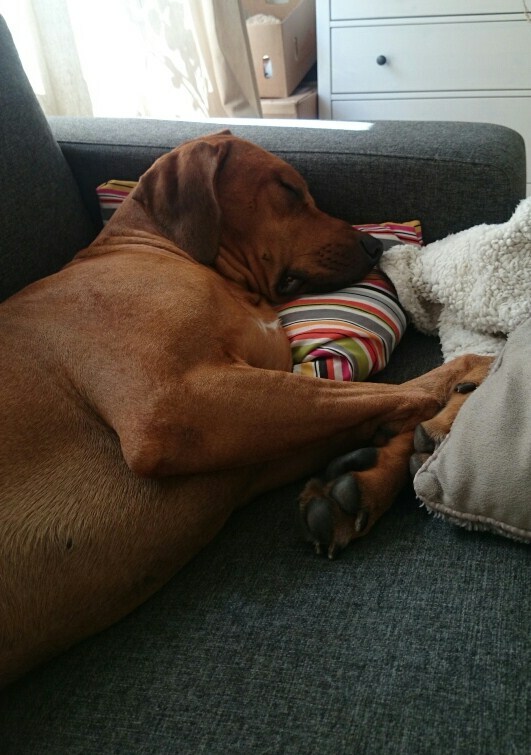 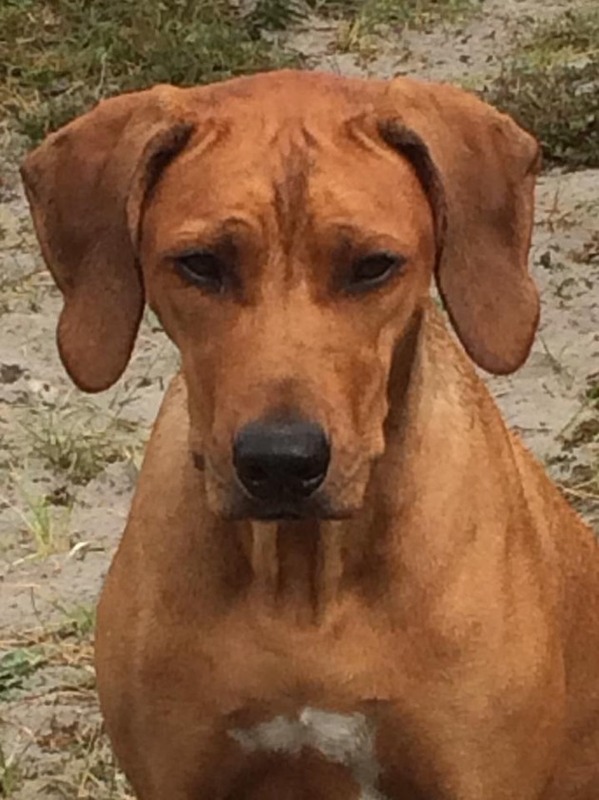 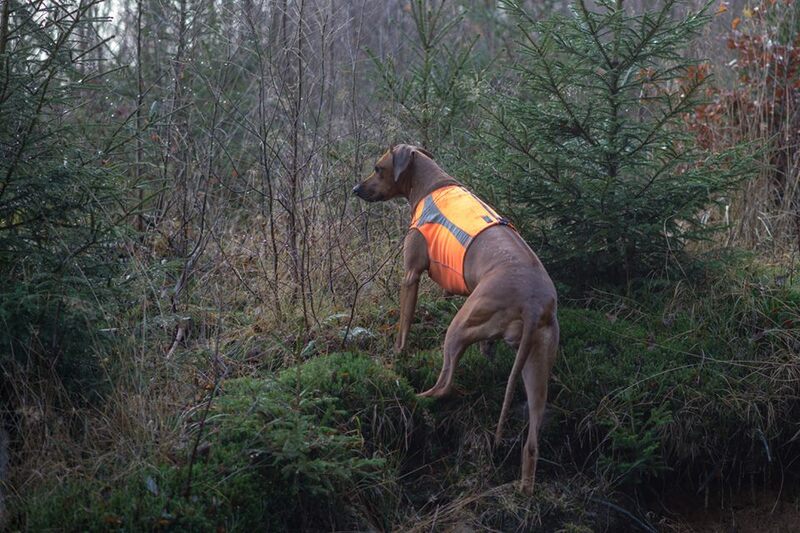 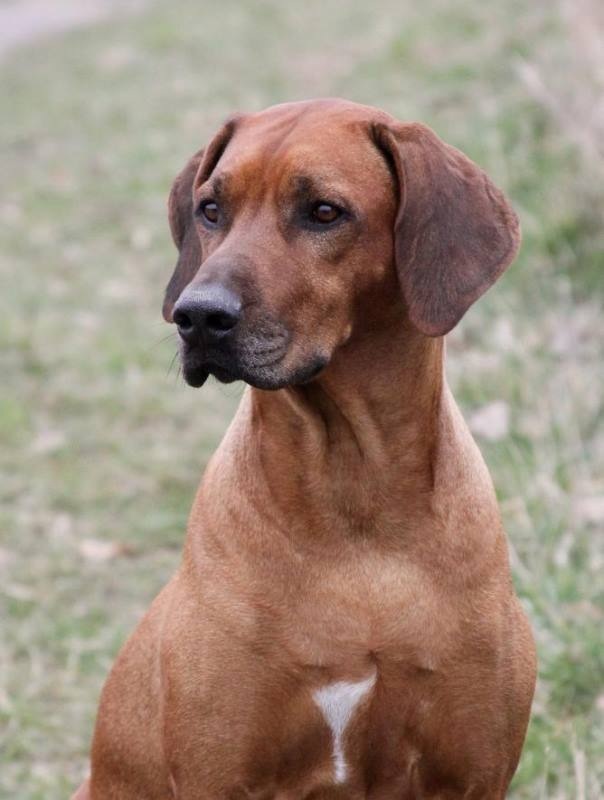 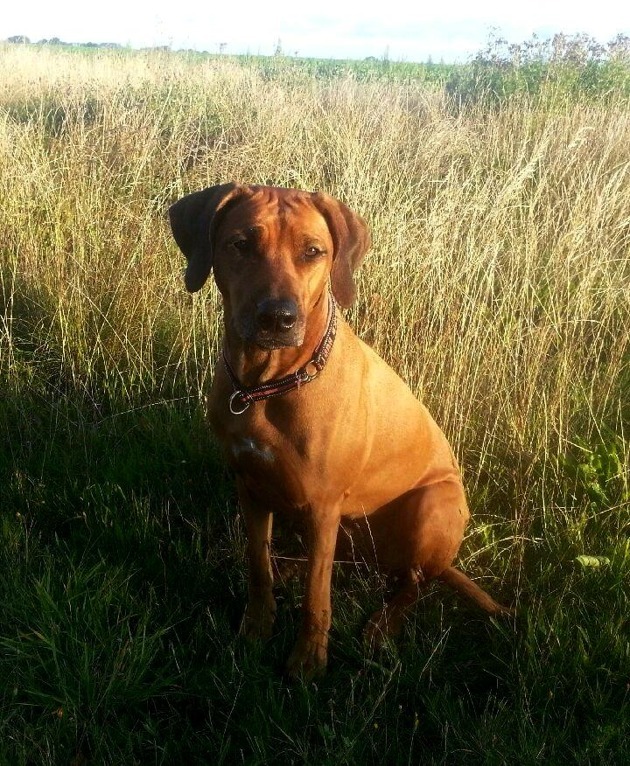 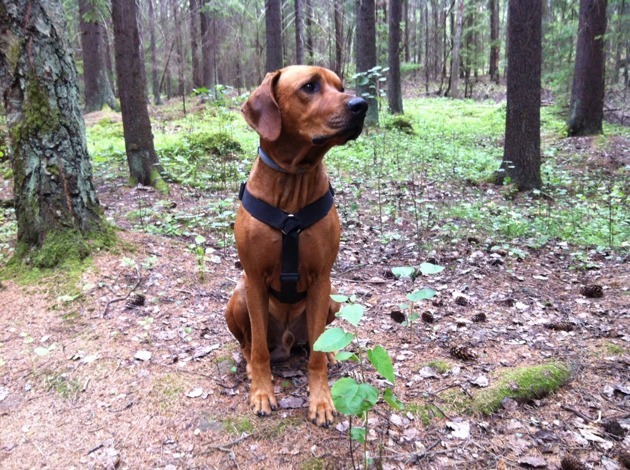 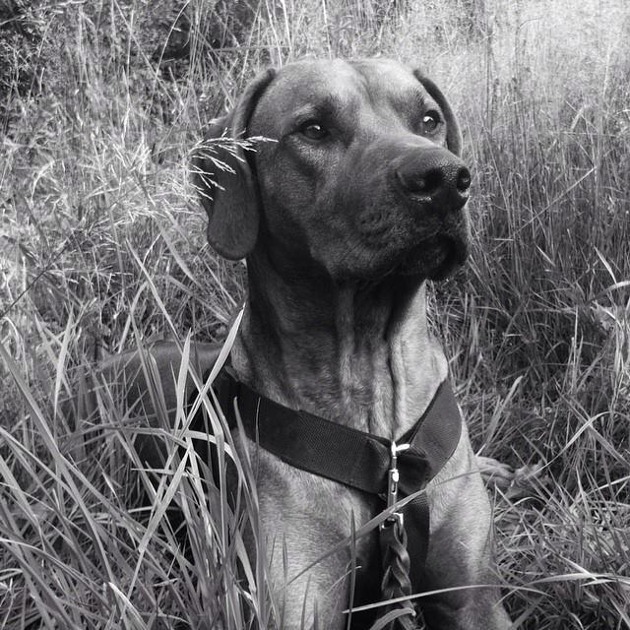 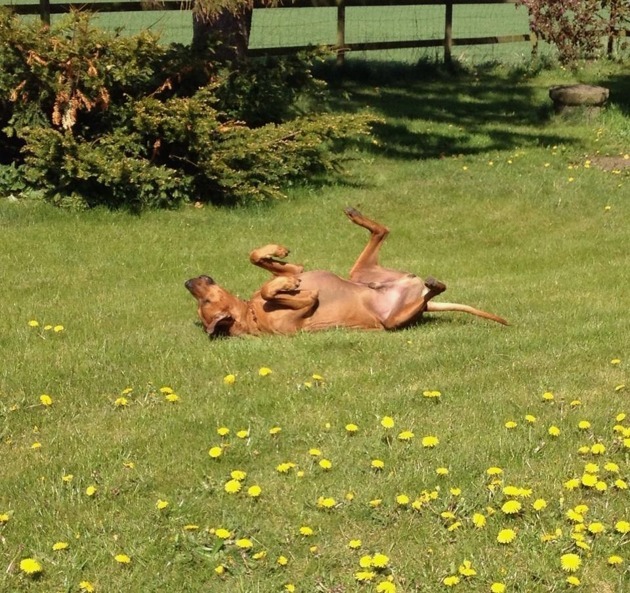 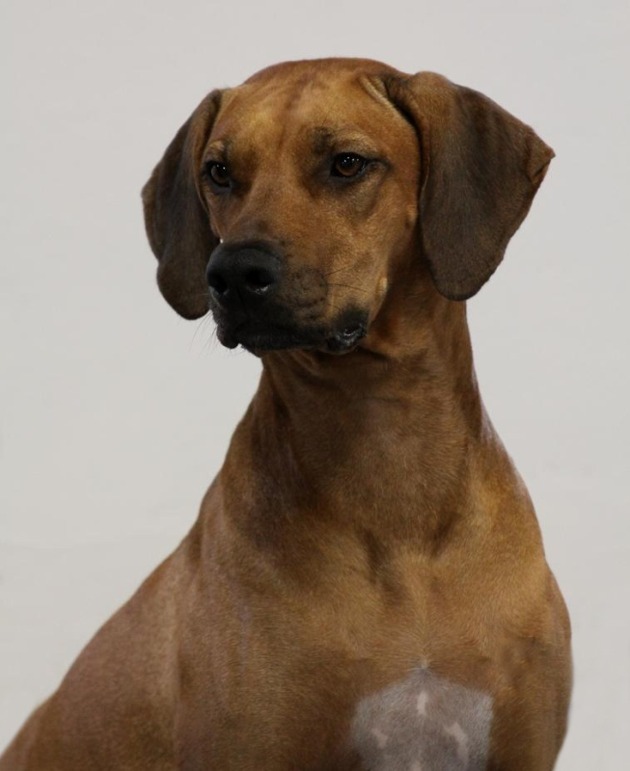 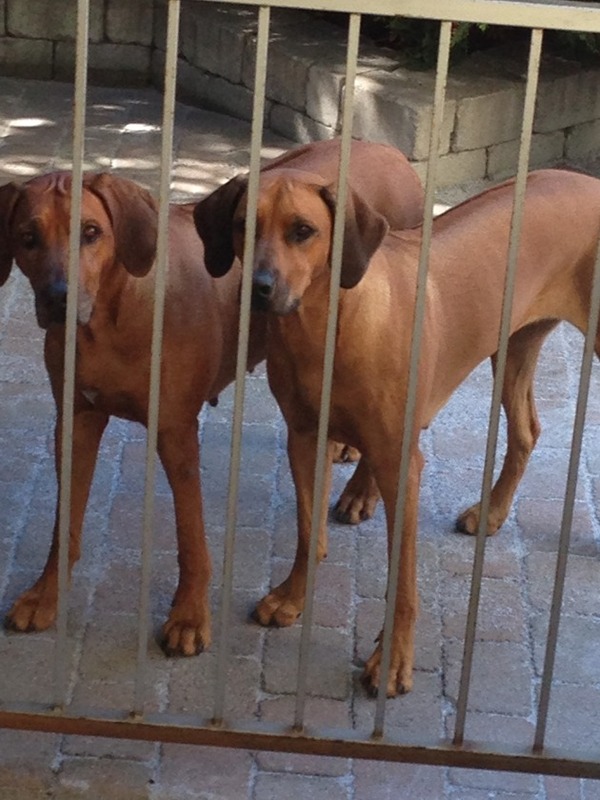 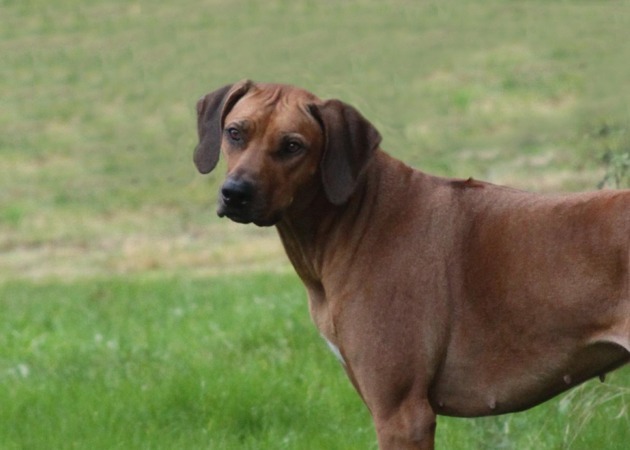 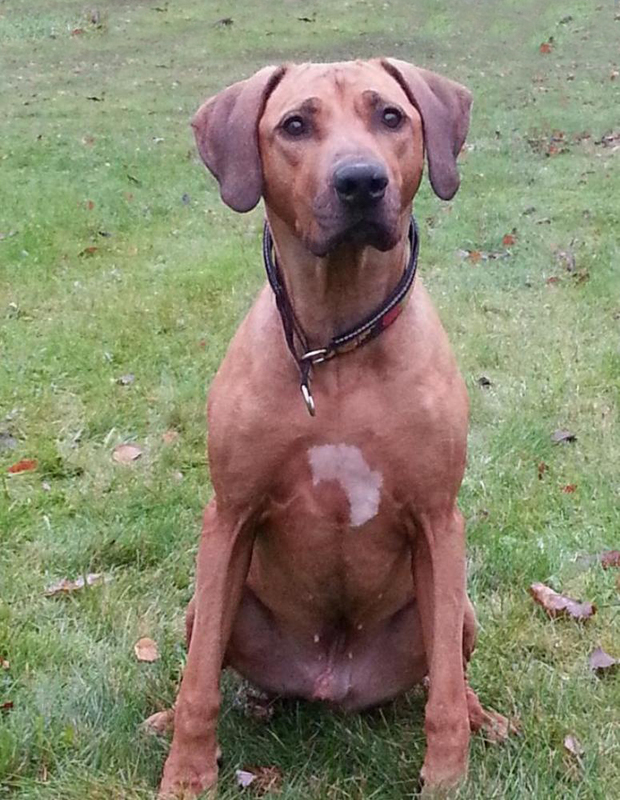 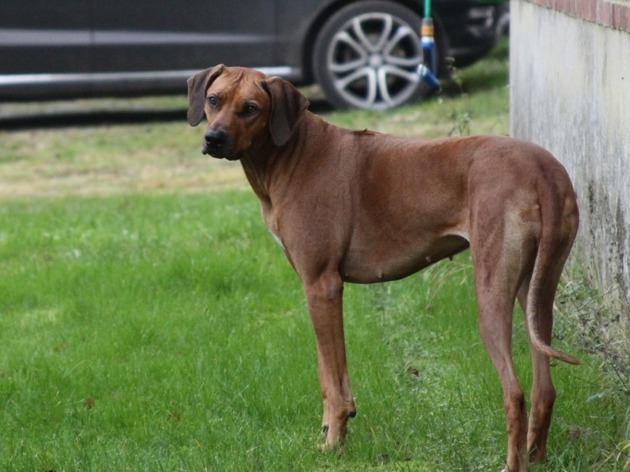 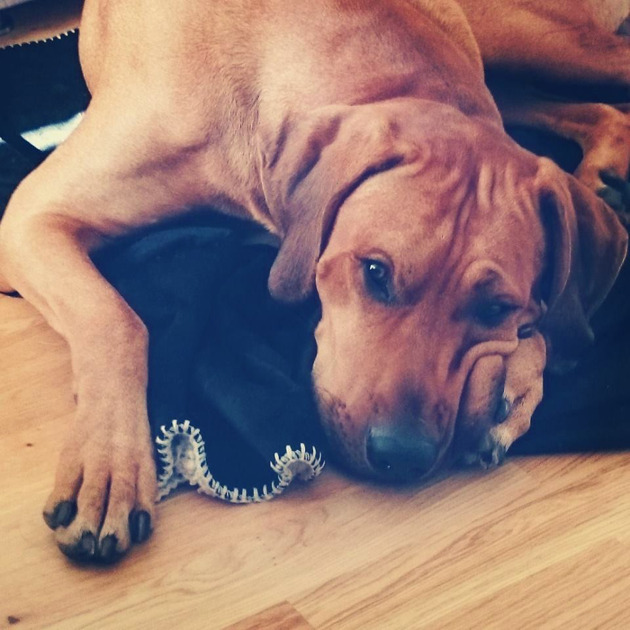 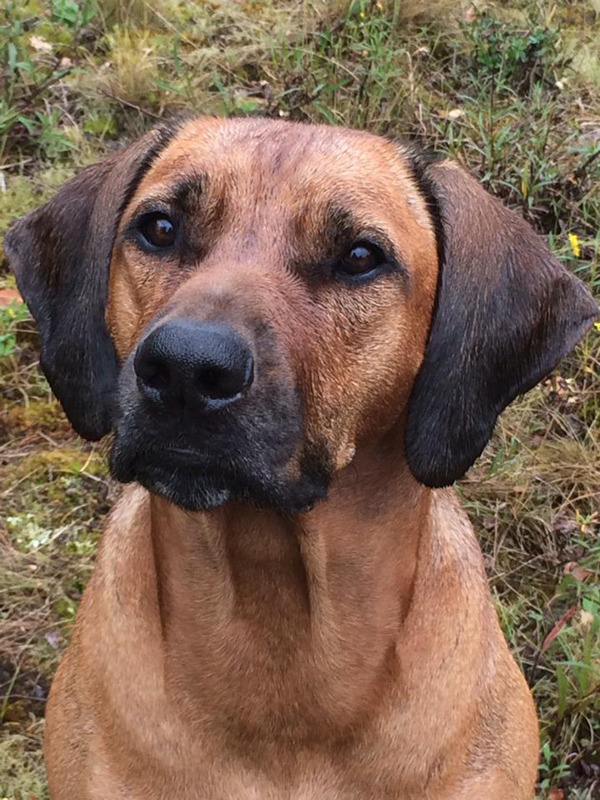 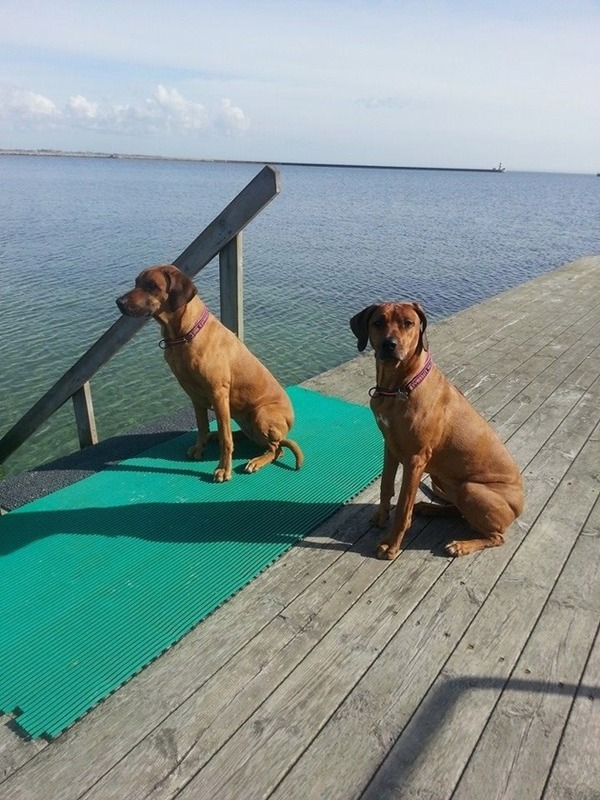 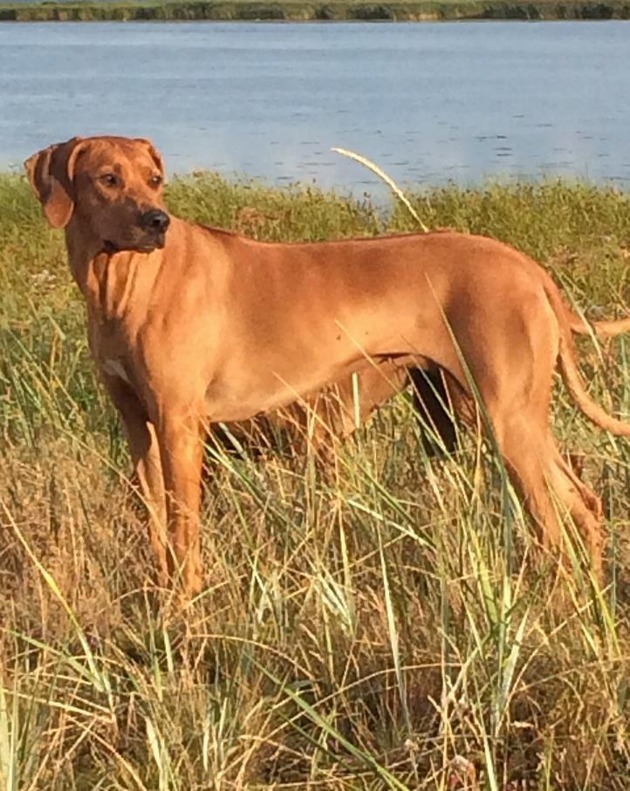 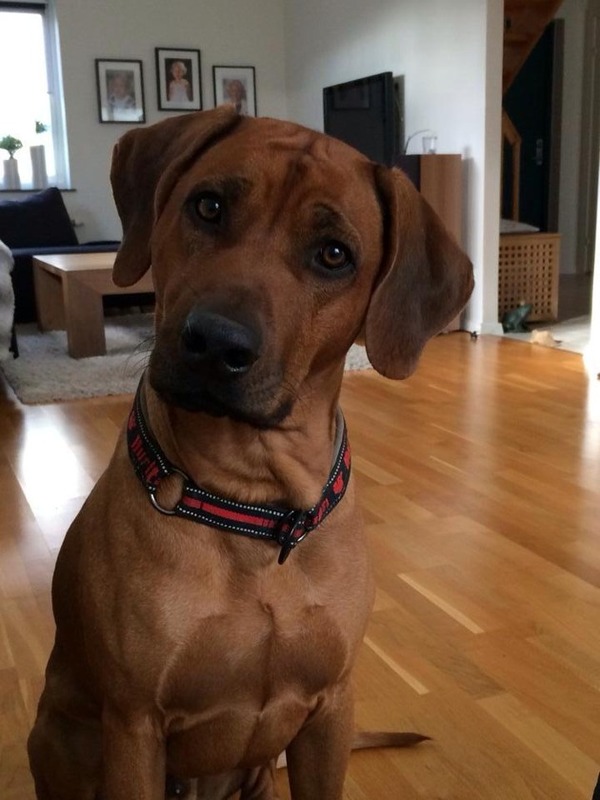 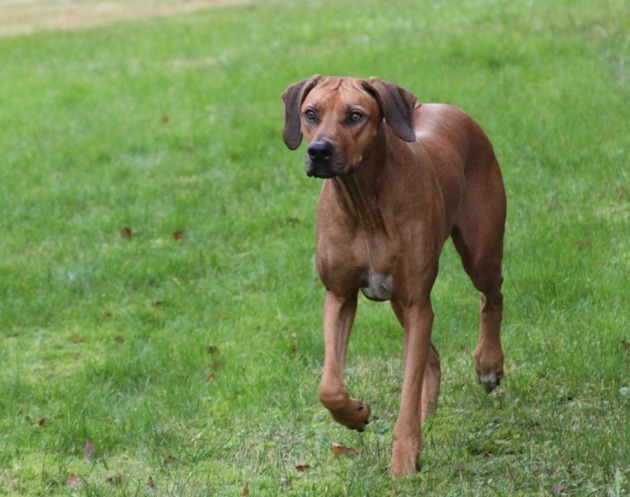 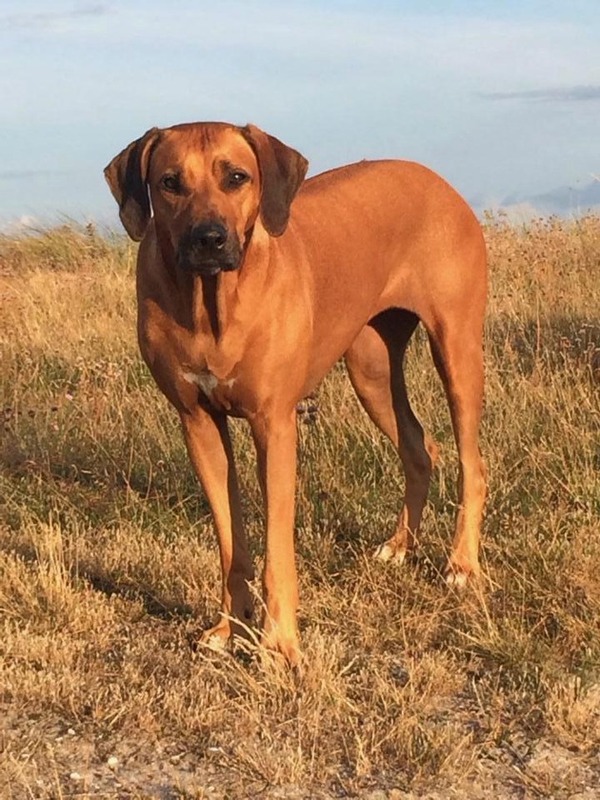 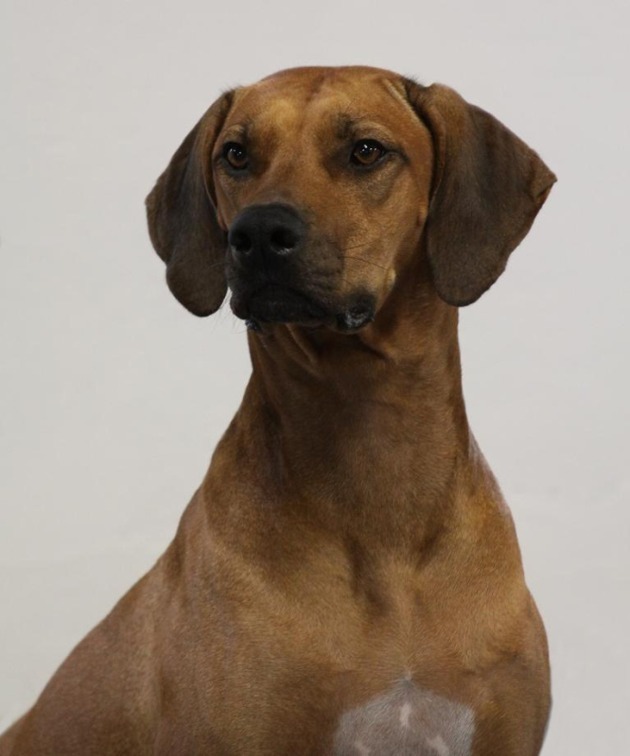 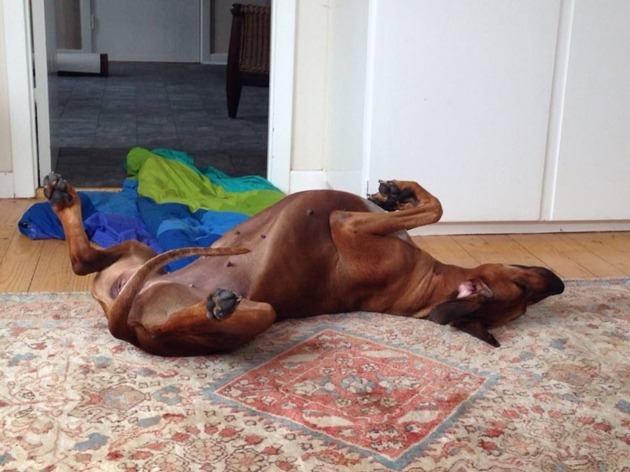 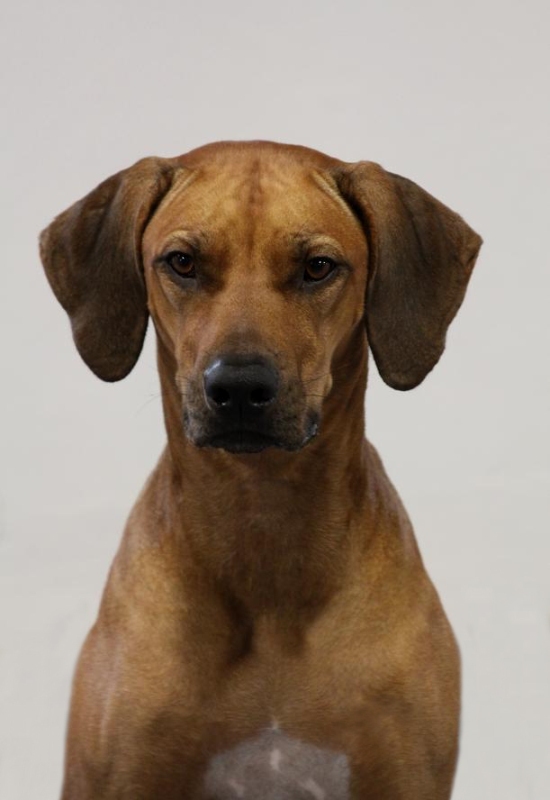 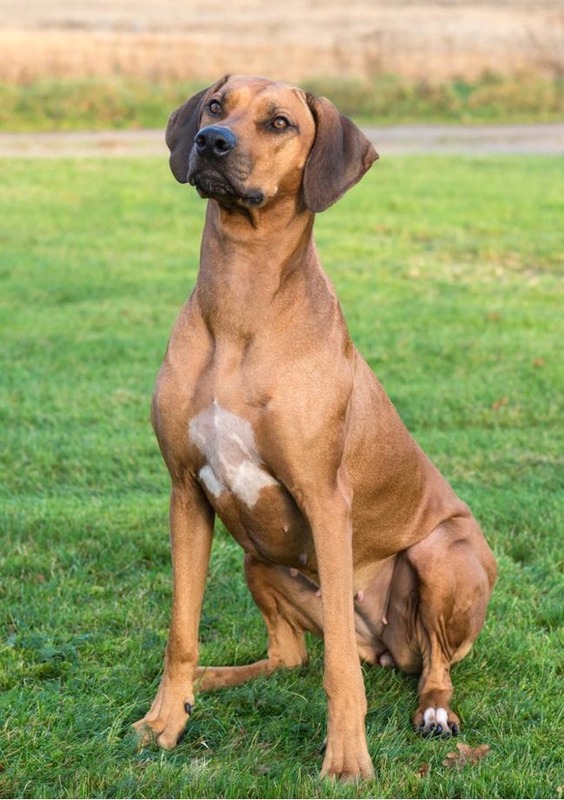 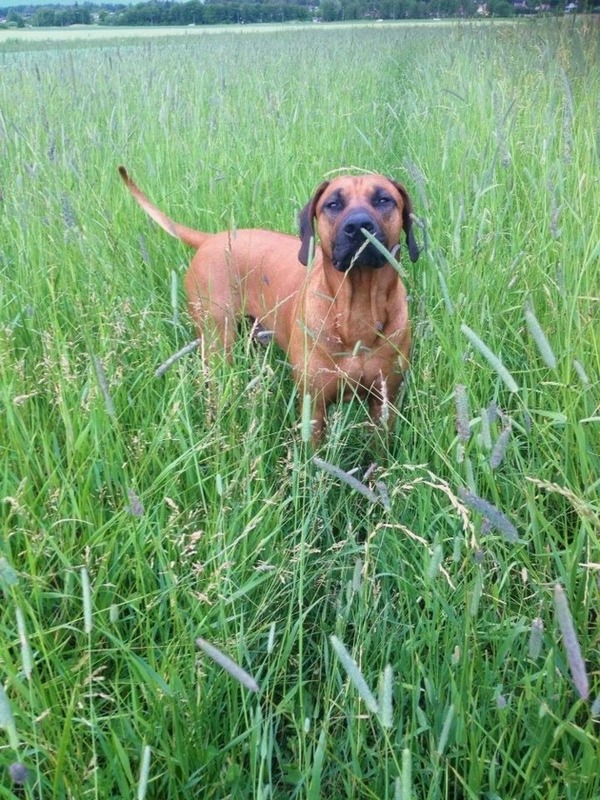 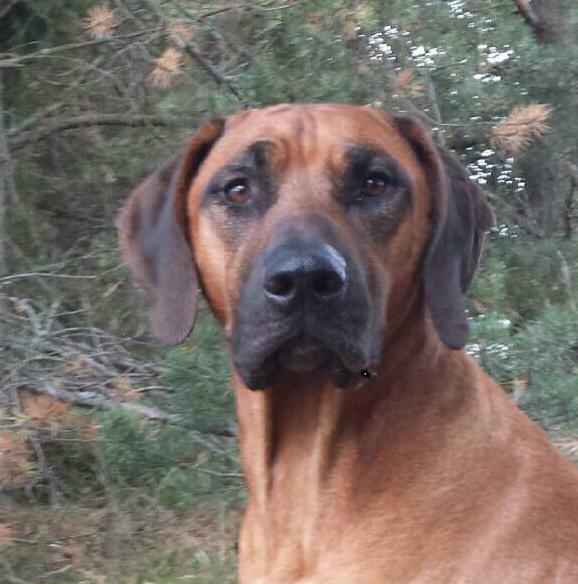 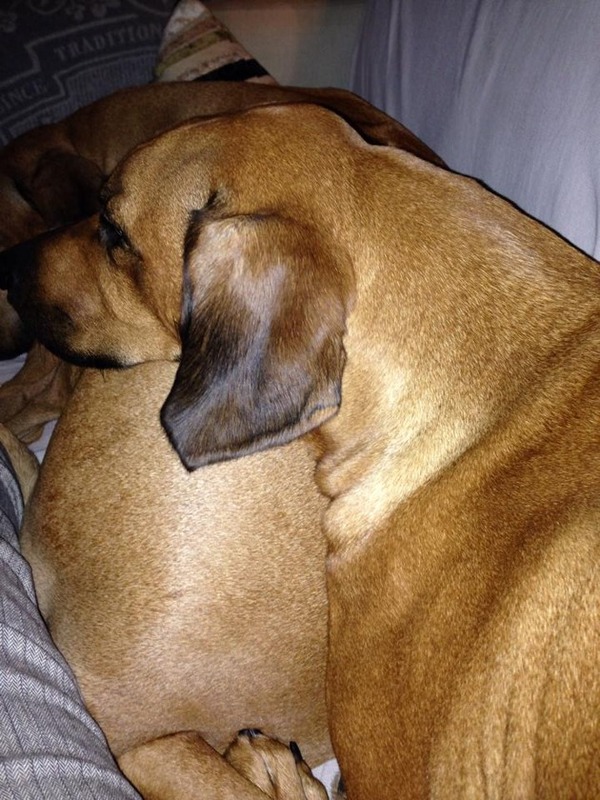 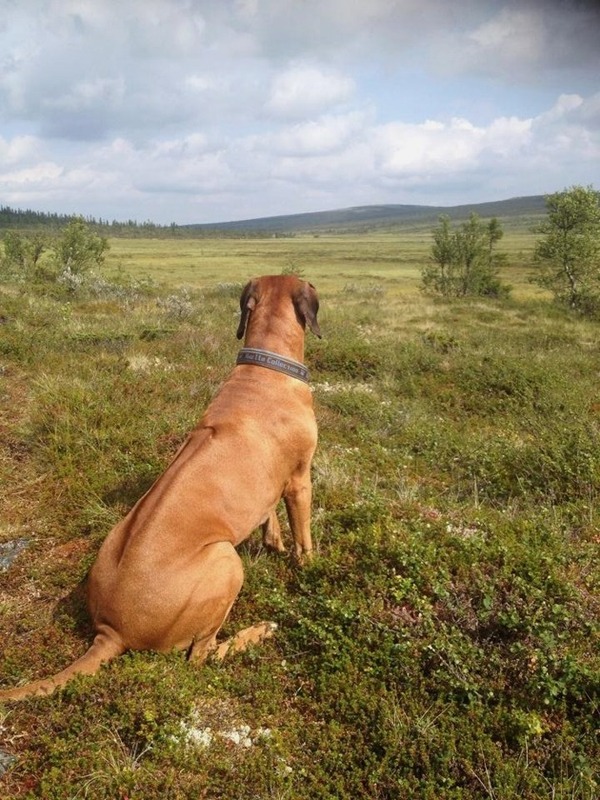 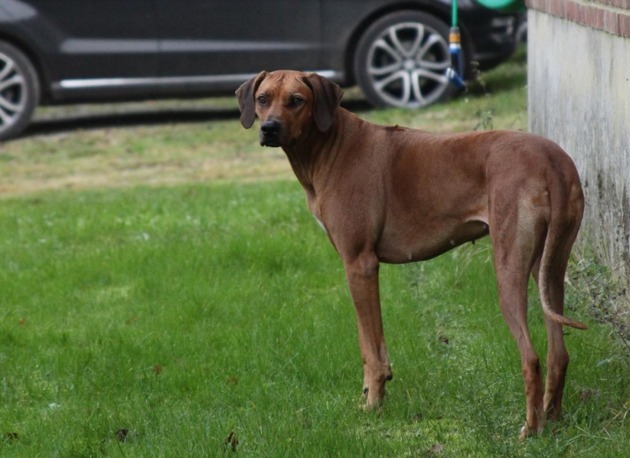 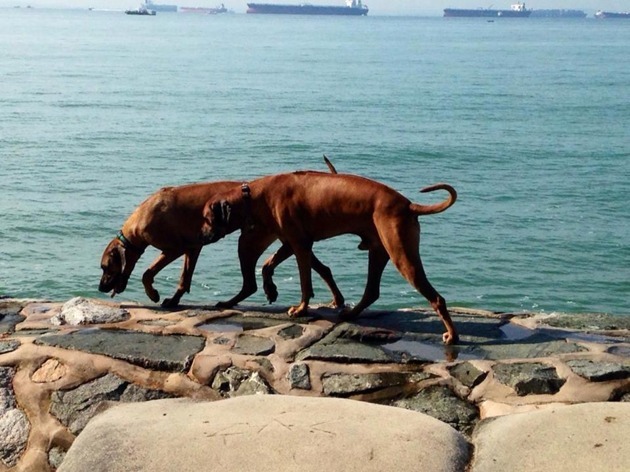 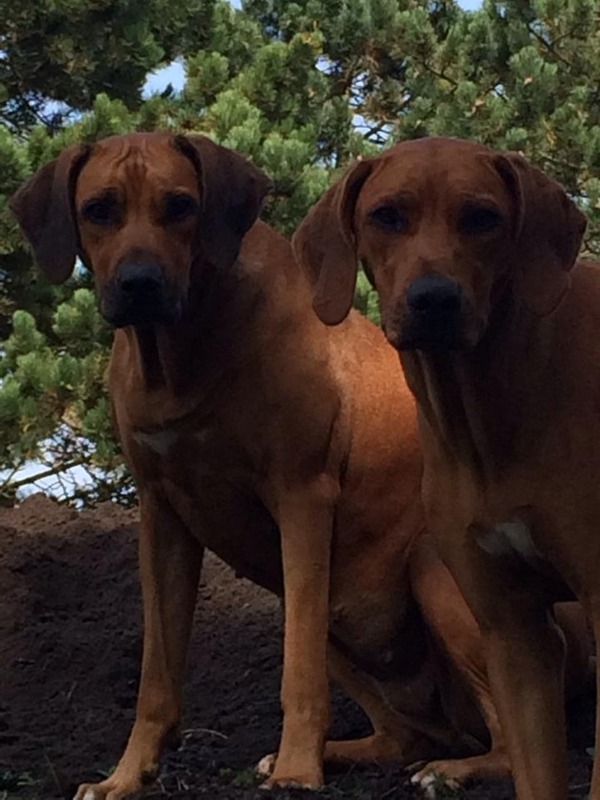 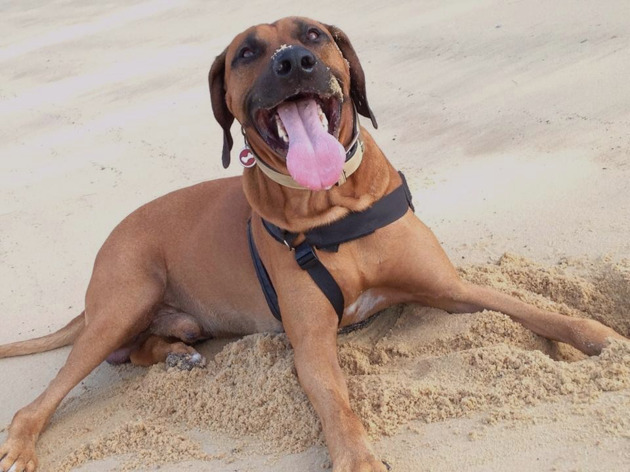 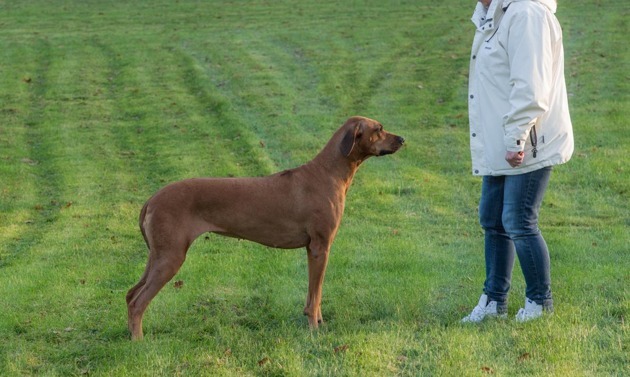 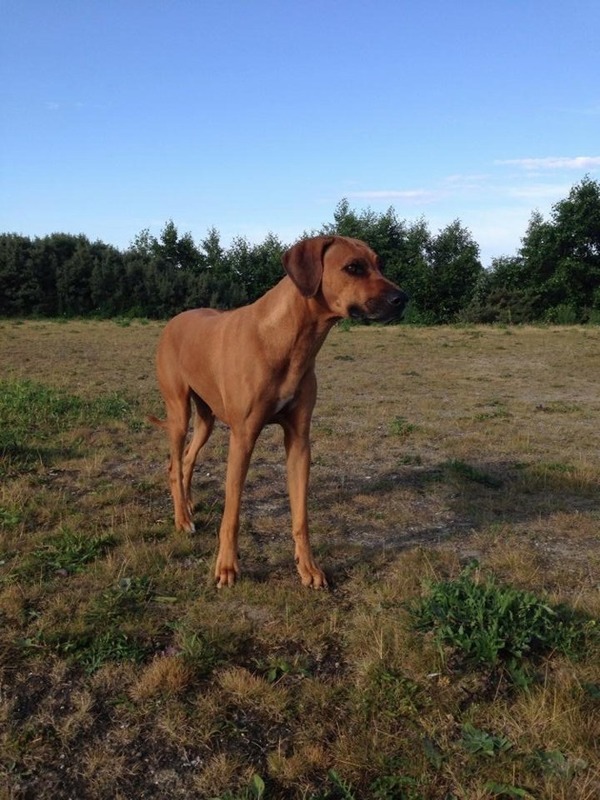 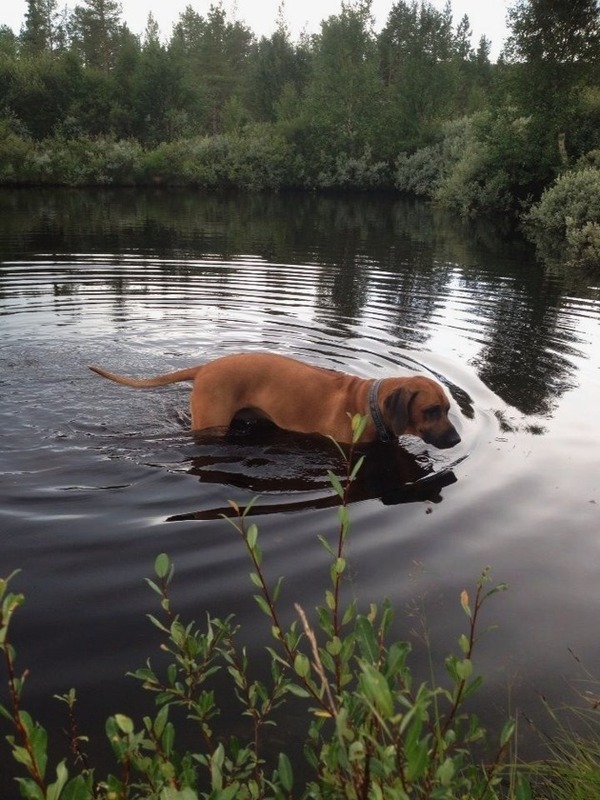 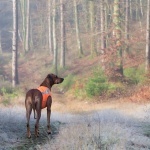 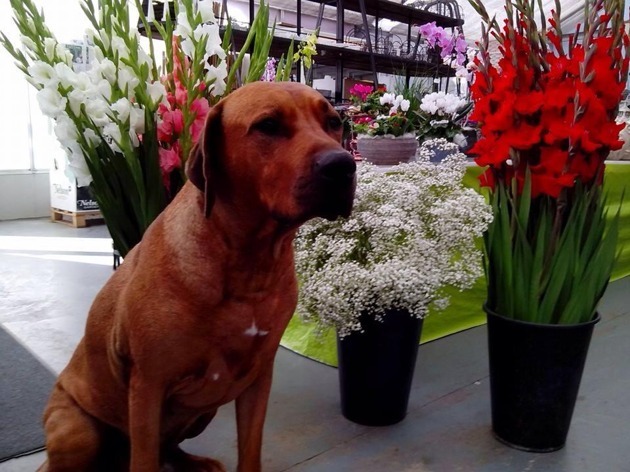 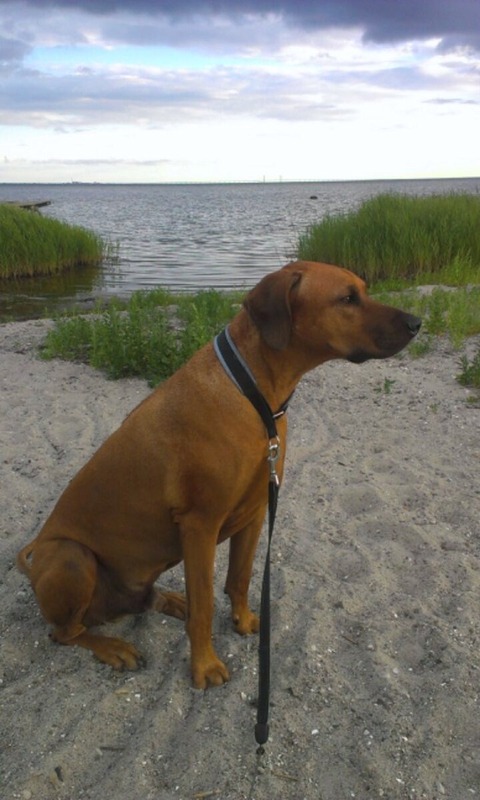 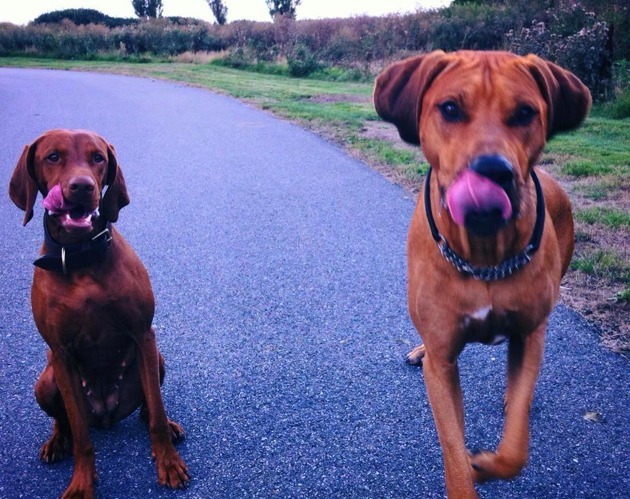 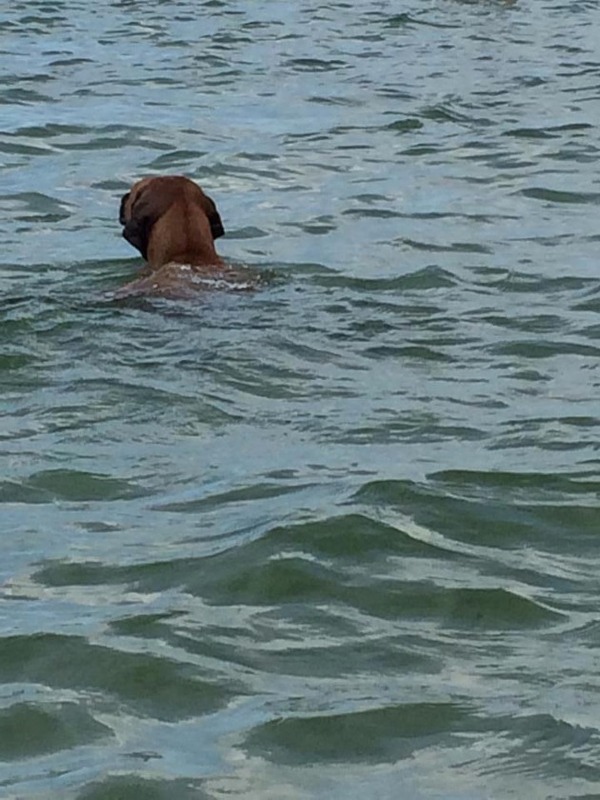 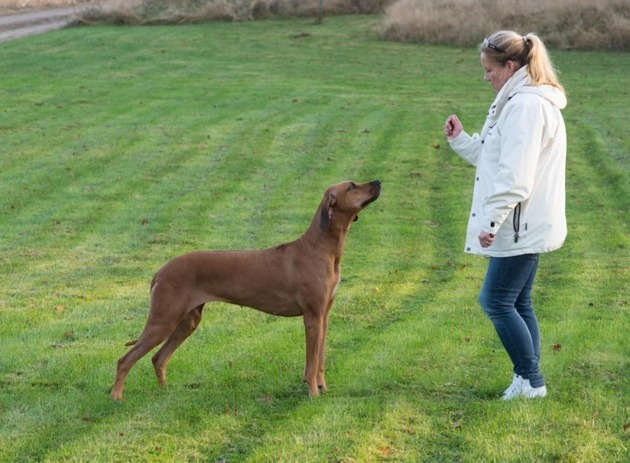 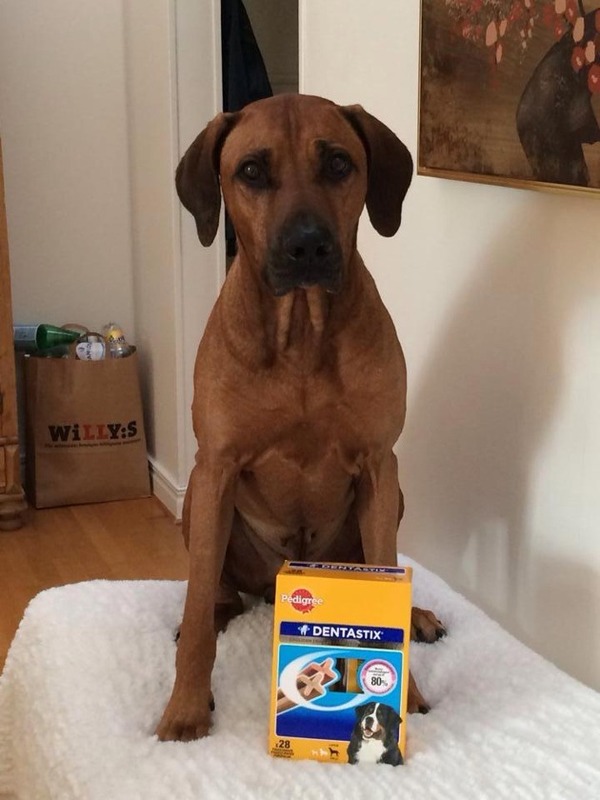 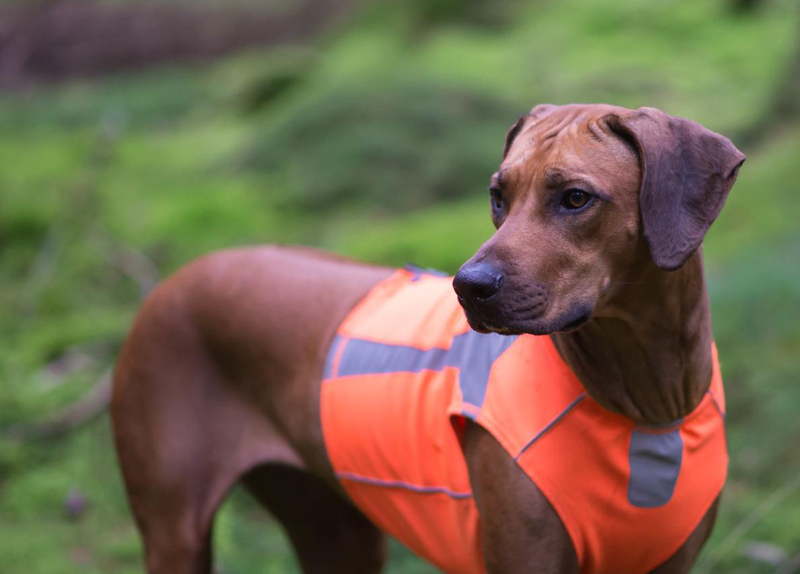 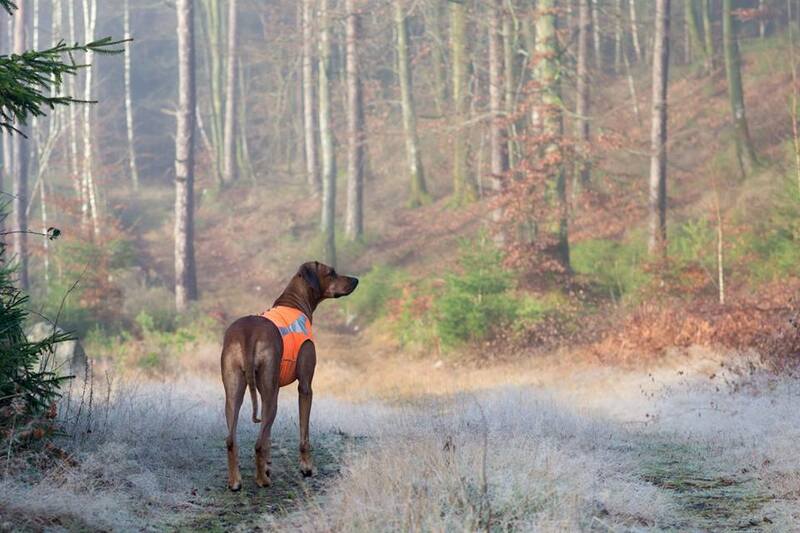 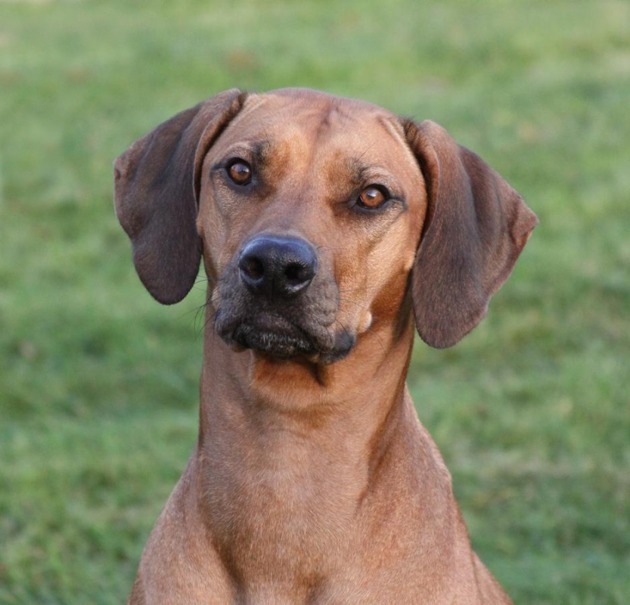 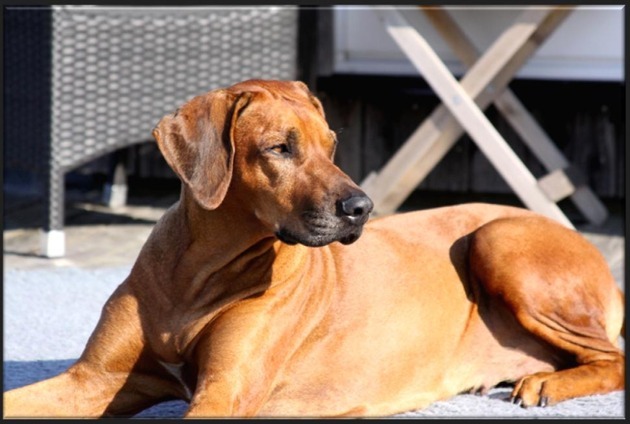 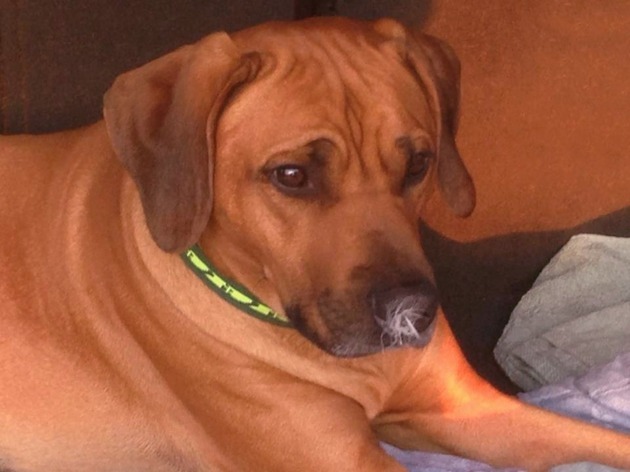 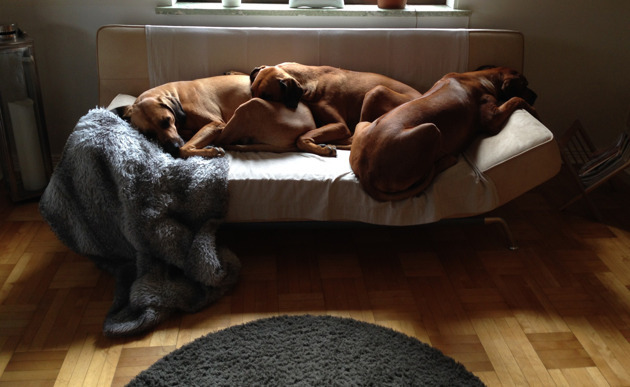 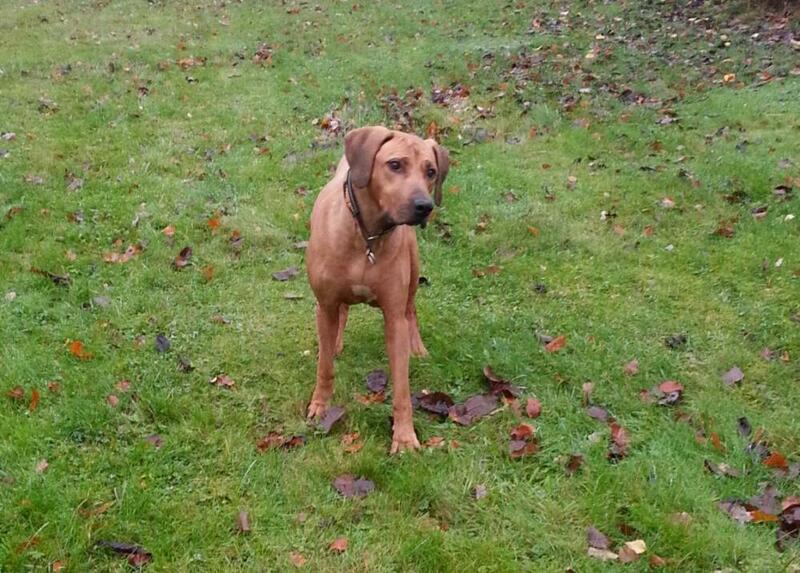 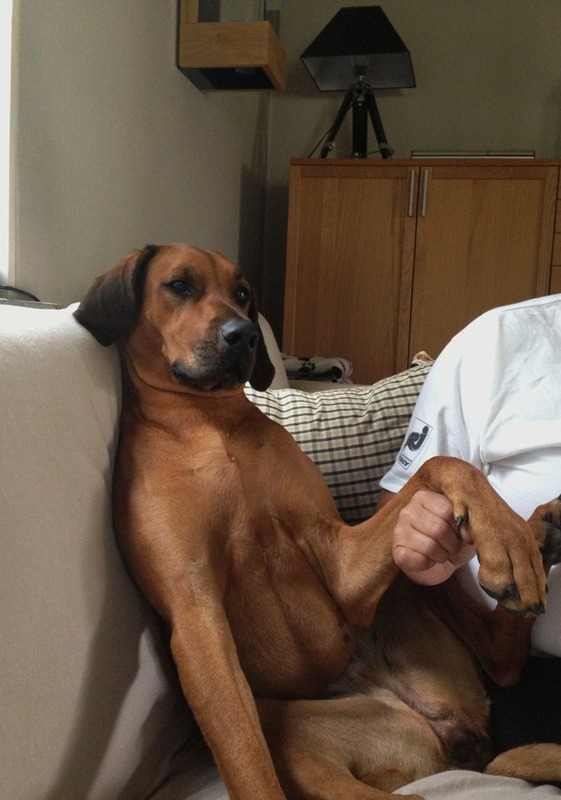 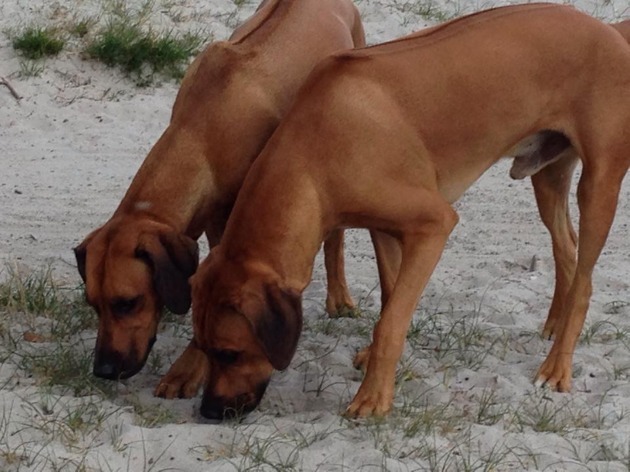 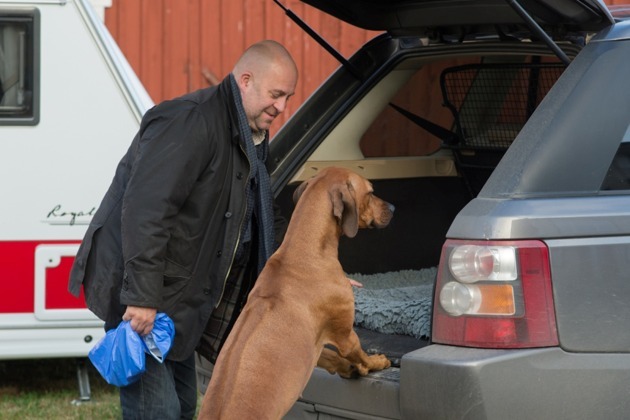 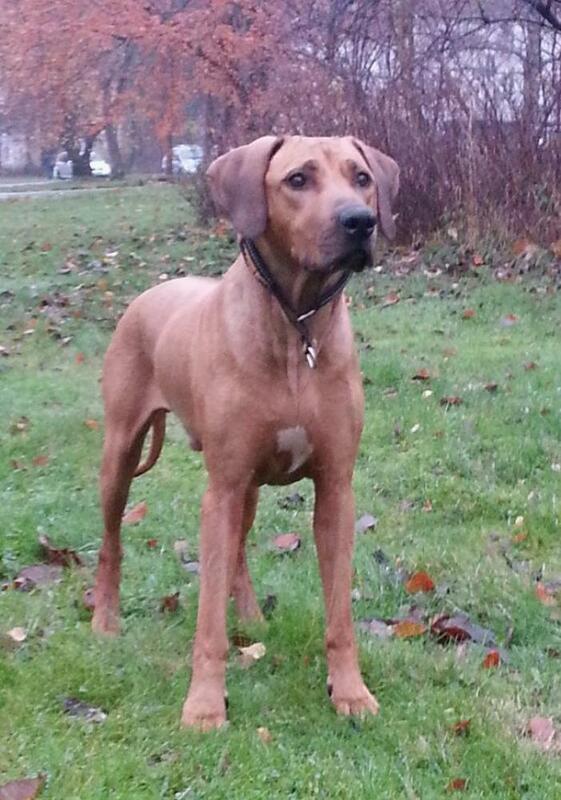 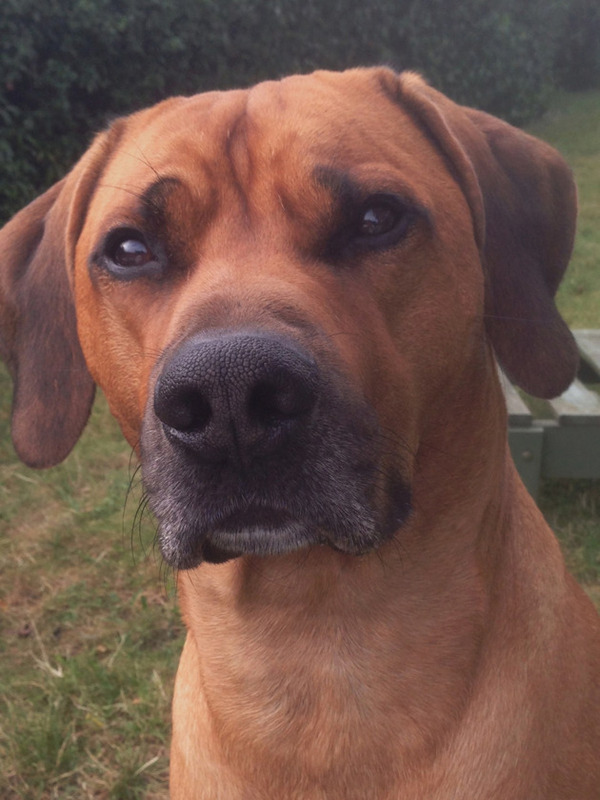 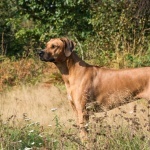 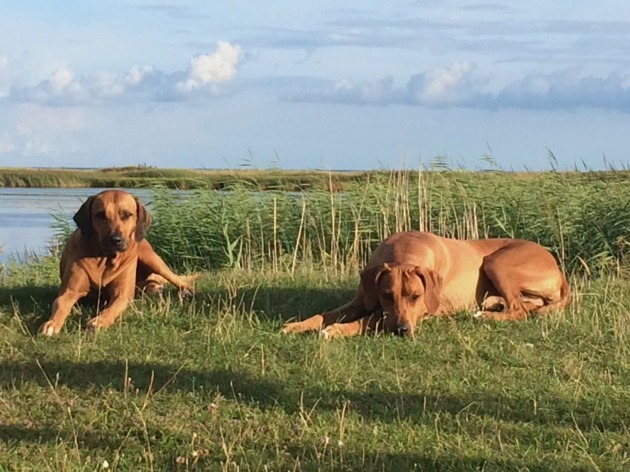 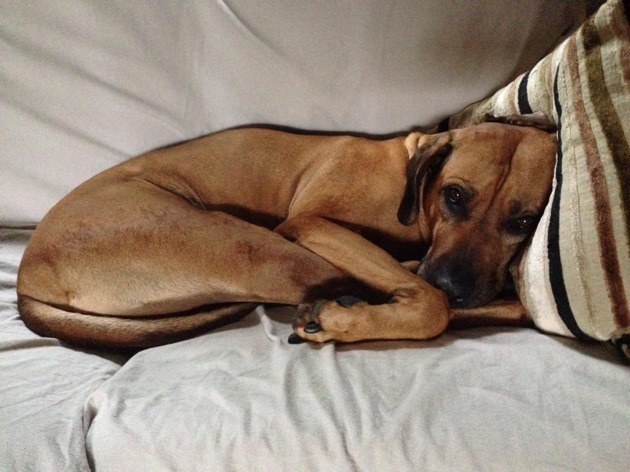 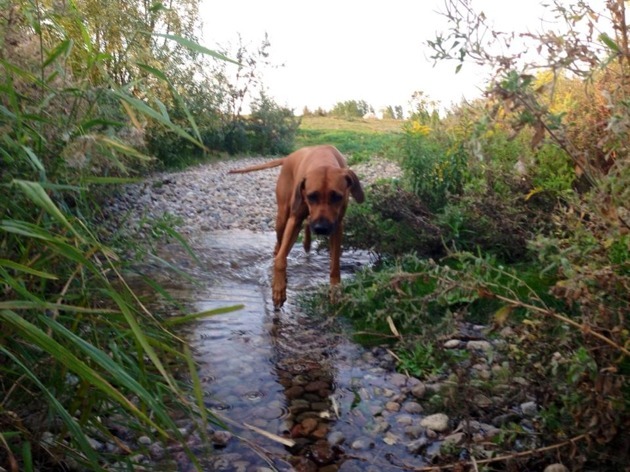 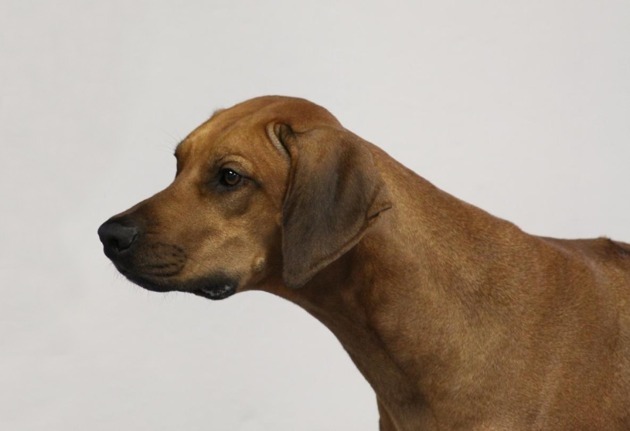 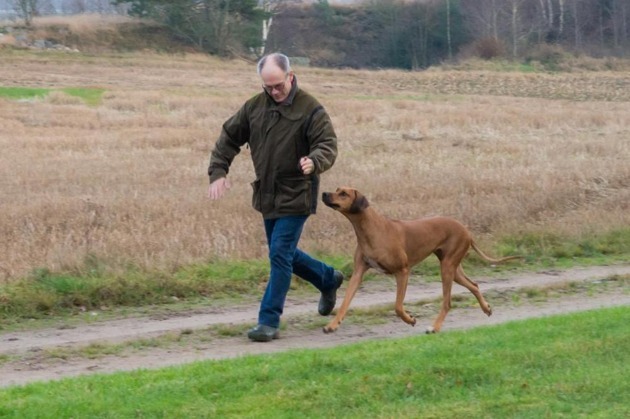 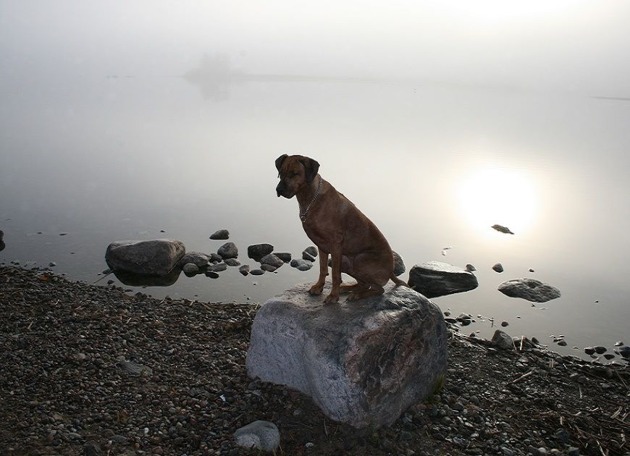 He also managed to become Top Winning Ridgeback in Norway 2014, for the second year in a row. 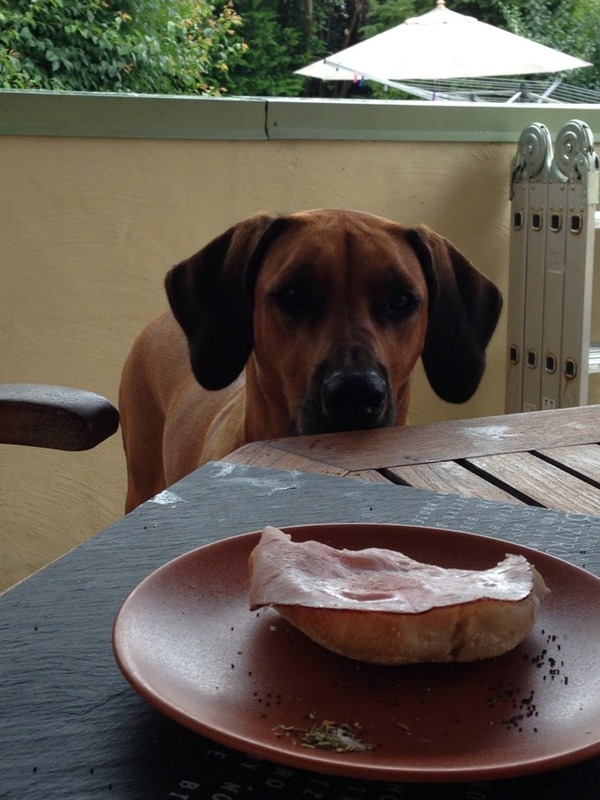 He simply is Shavano's Look out for Lloyd. Huge congratulations to breeder and owner:)! 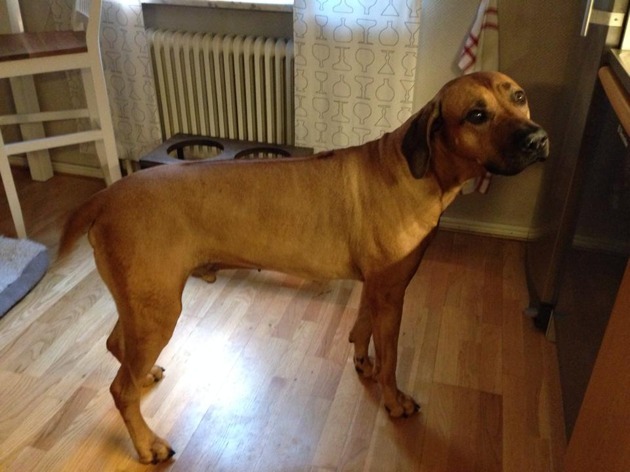 Seuch Sv-08 Ghali Atif af Argos"Hannibal"
Scroll down to see more pictures of sweet Esther. 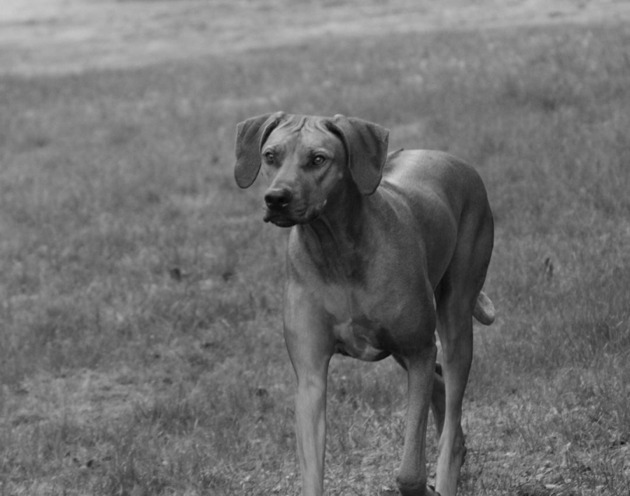 The pictures taken by me and Kennel Wenzake. 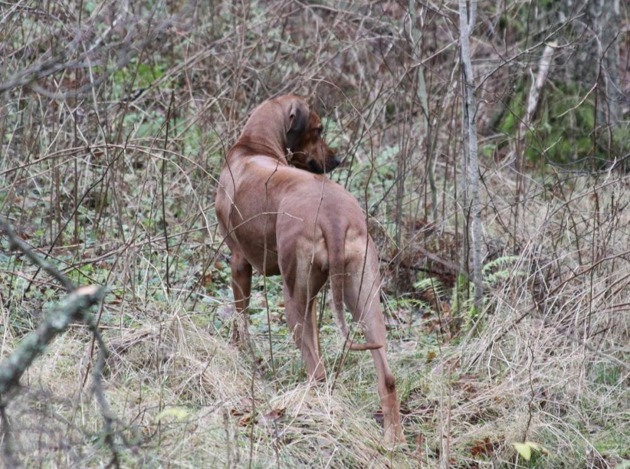 Hopefully Esther will be mother to her first litter in spring 2015:)! 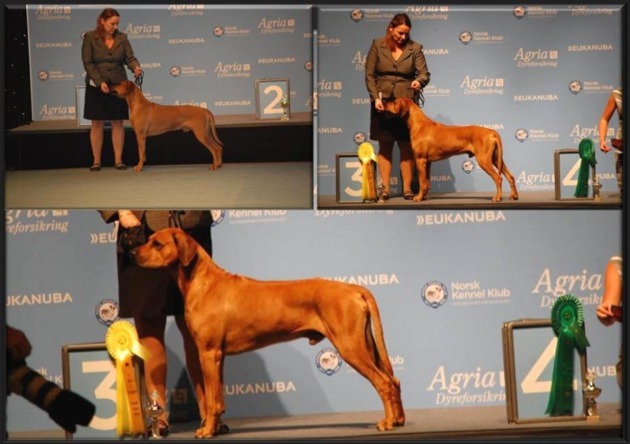 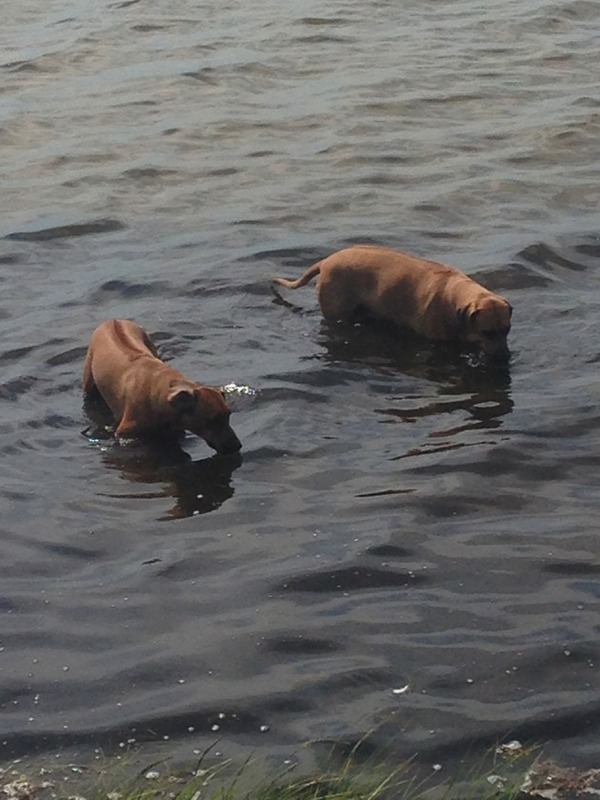 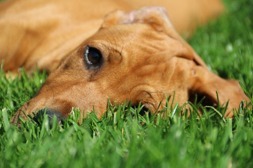 Louise sent me an email with a few new pictures of Asla x Argos son Hannibal from our A-litter:)! 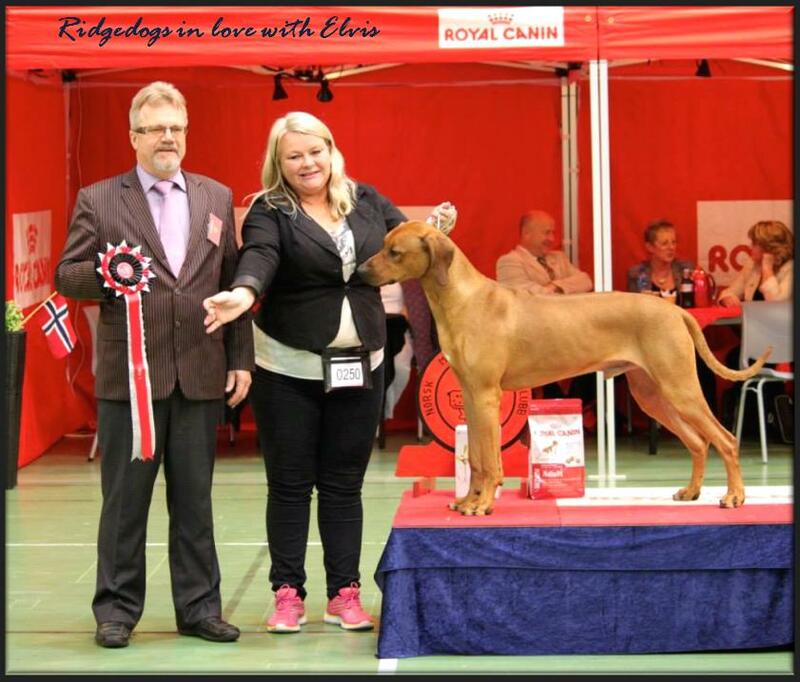 Hannibal has gained the titles Swedish Show Champion & Swedish Winner 2008! 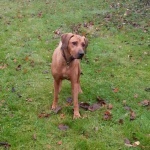 It was so fun to show him, he loved to show up already as a puppy! 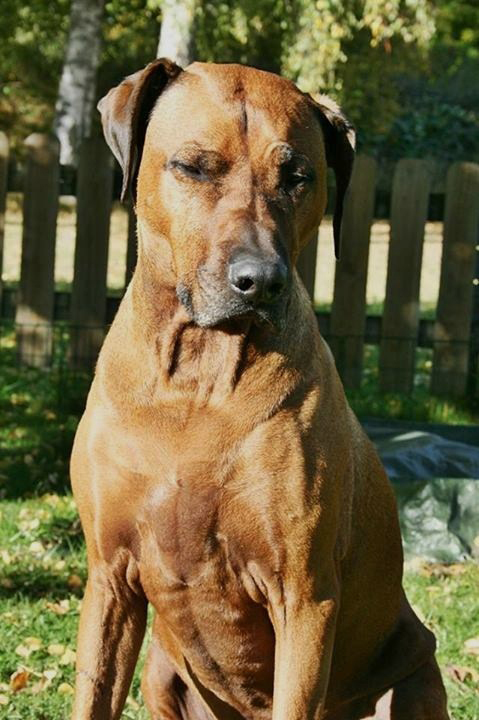 Well I think he still looks like a youth despite his age:) 9 years and 3 months old. 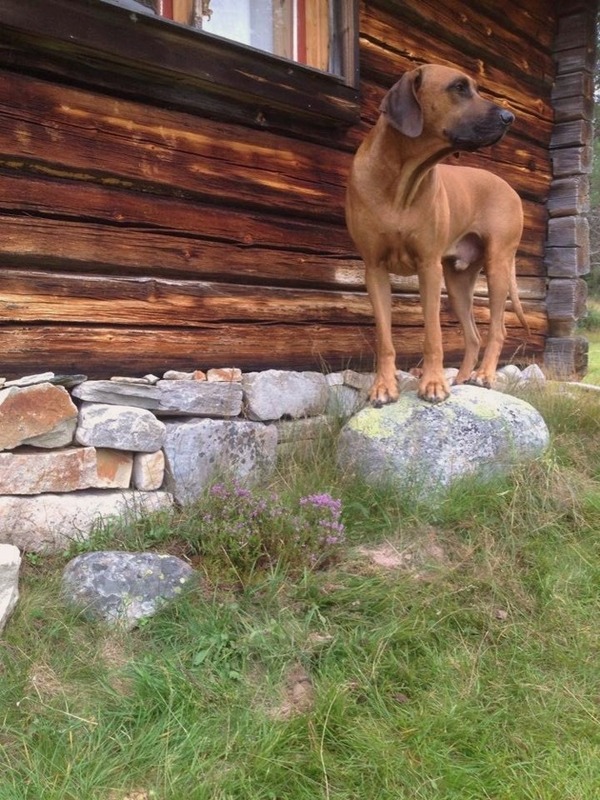 Nowdays he lives in Norway, Oslo with his pack. 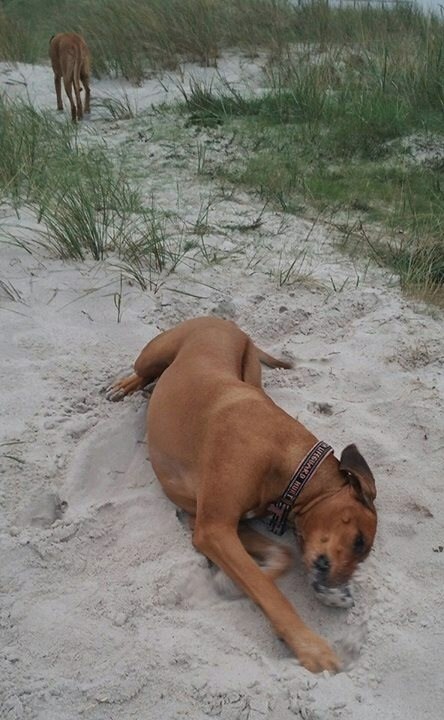 Nice to know that he is feeling good and still playful! 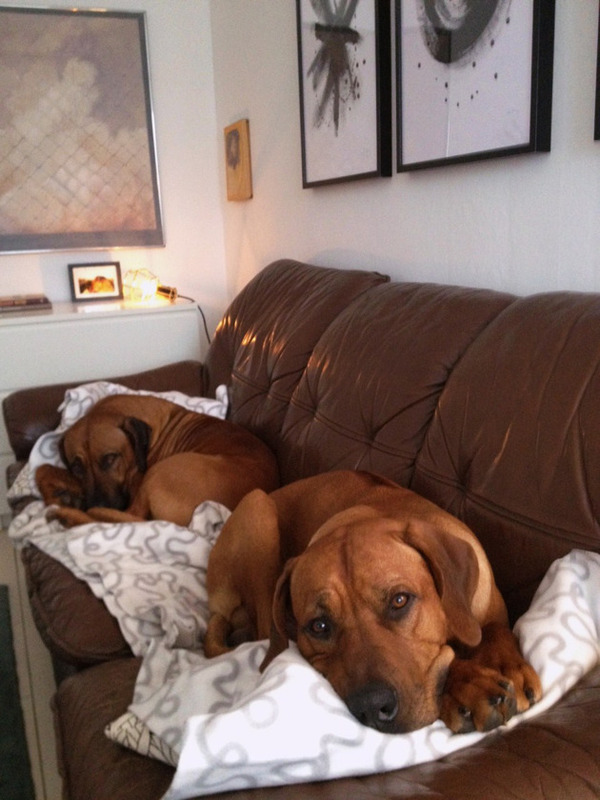 KEEP ON SENDING ME PICTURES AND UPDATES, ALWAYS MAKES ME HAPPY! 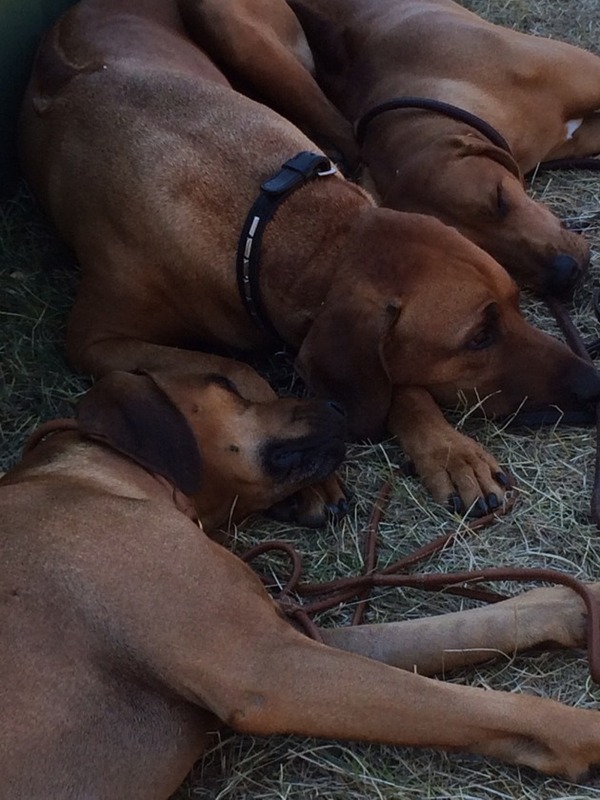 2 x 1 ST PRIZE 2 x HP (HONOURSPRIZE) & WINNER IN THE FIELD/BLOODTRACKING COMPETITION! 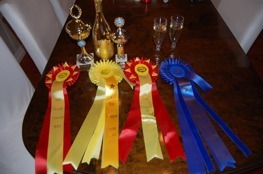 Received 2x1st prizes and was rewarded with HP (Honours prize) as well:)! 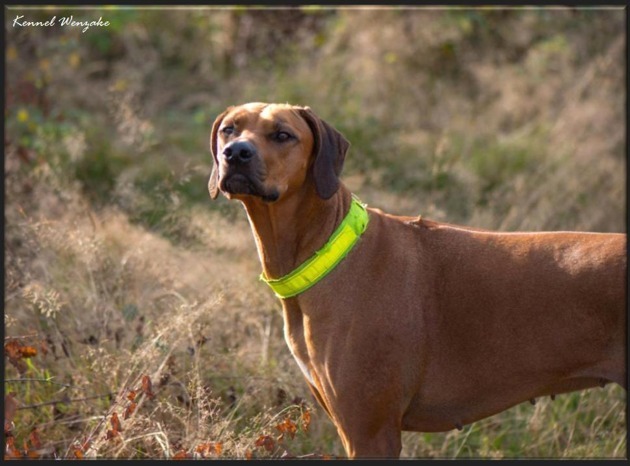 He truly love tracking and that shows in these amazing and wonderful results! 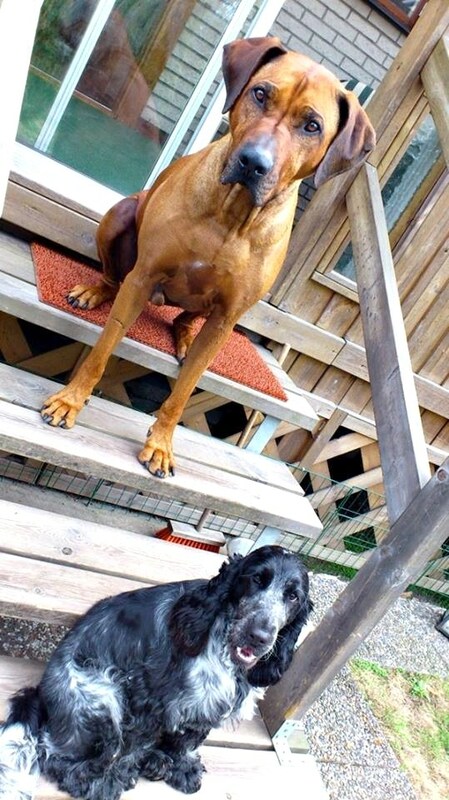 I´m so happy and proud of you both! 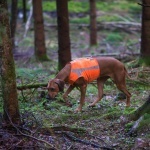 Safir´s gallerypage updated! 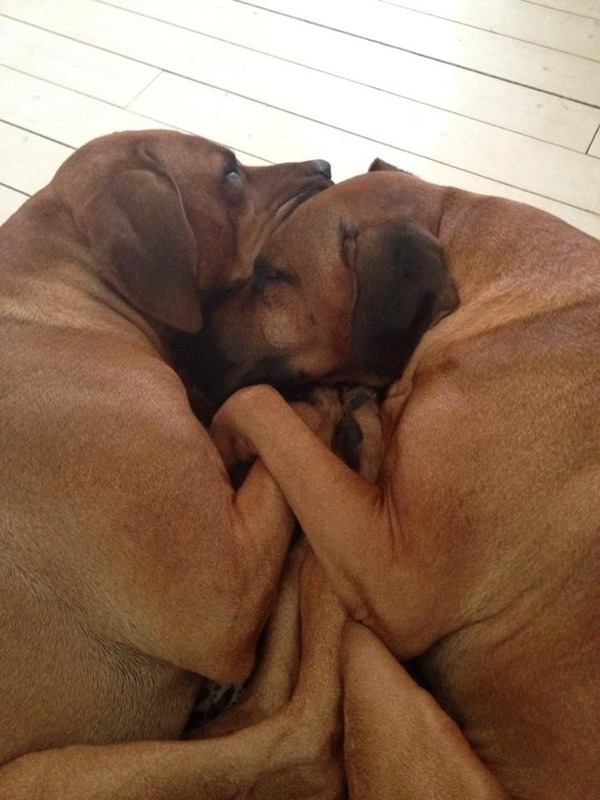 To see more pictures of here, click on the picture below. More nice results from our grand - kids this weekend:) Elvis did it again! 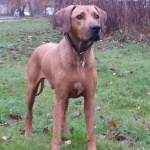 this beautiful young boy 11 months old. 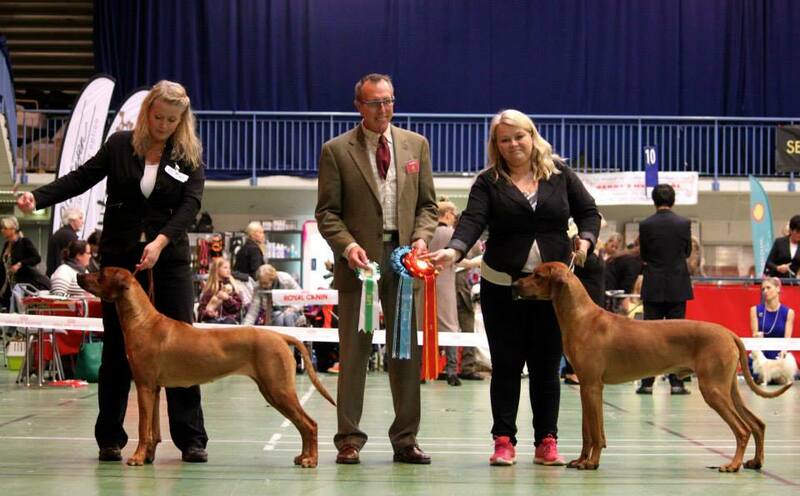 At the Internationell Dogshow in Herning Denmark this weekend. 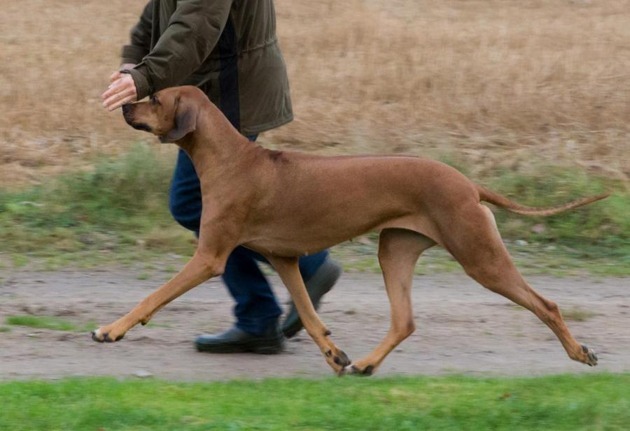 Etanaridge´s Bonemine By Obelix"Adiva" 5 months old.